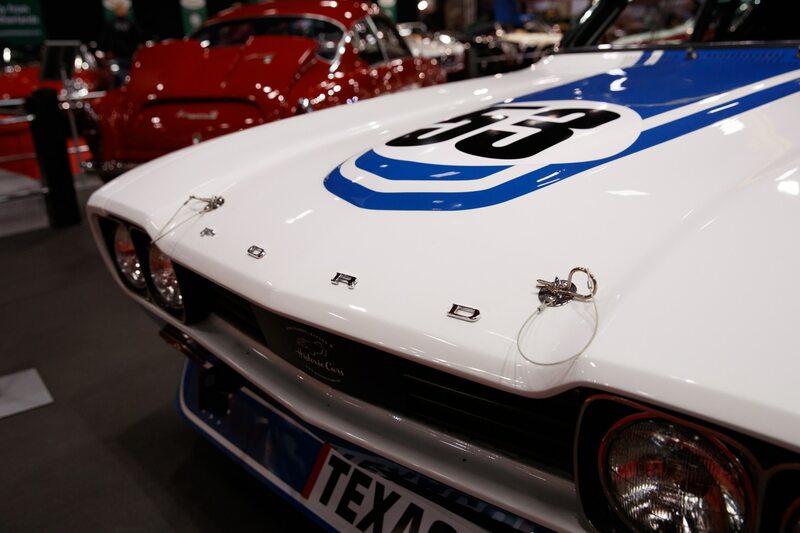 Plus tons of photos from one of the world’s premier vintage-car shows. 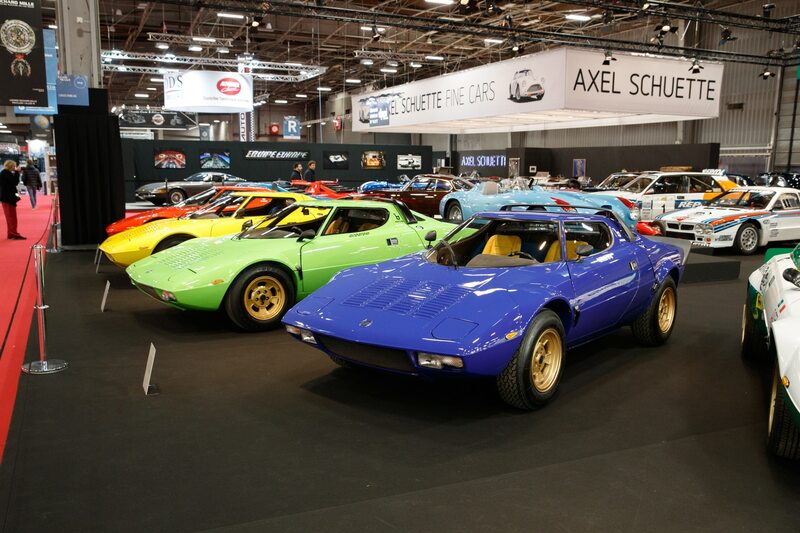 Every year enthusiasts from around the world venture to Paris to attend the Retromobile show—and for good reason, as it’s the most important indoor classic-car show in the world. 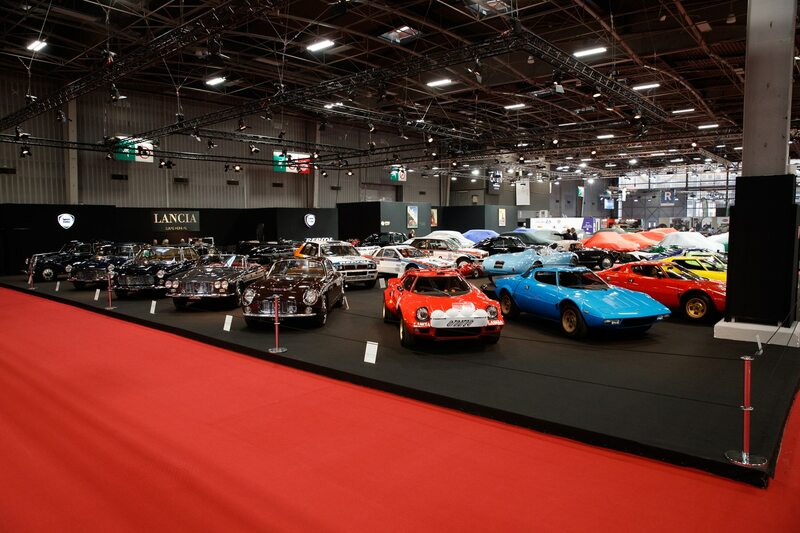 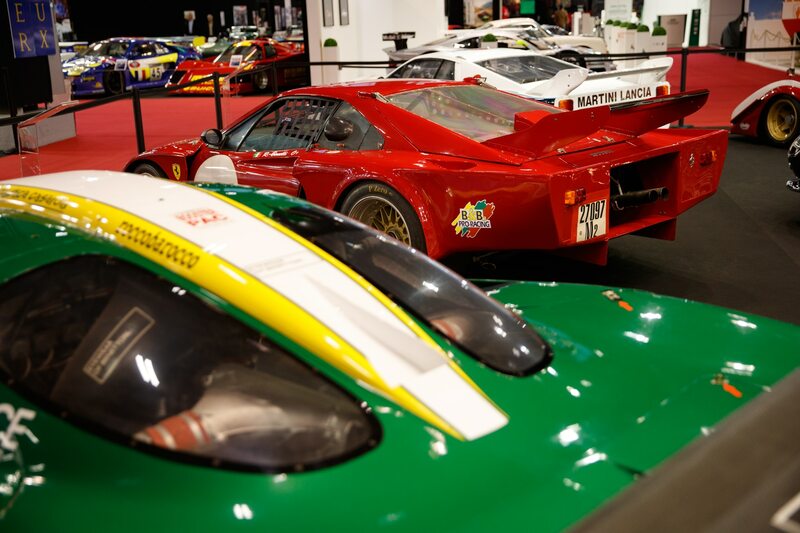 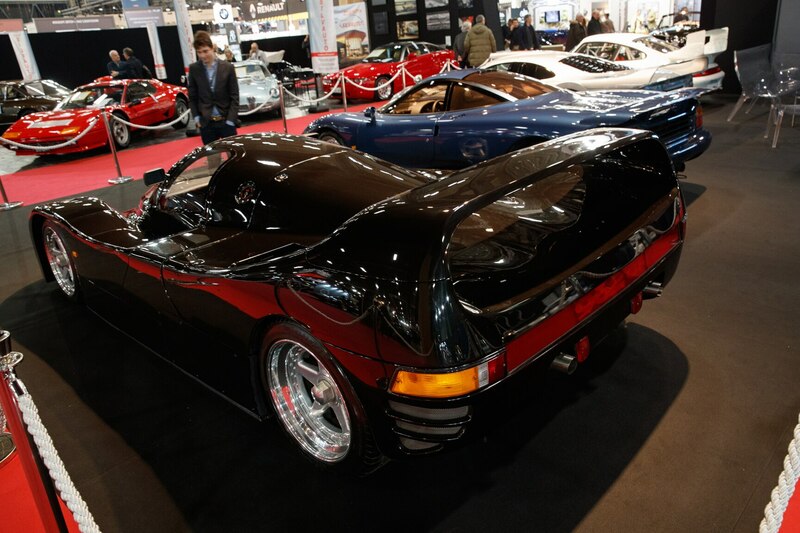 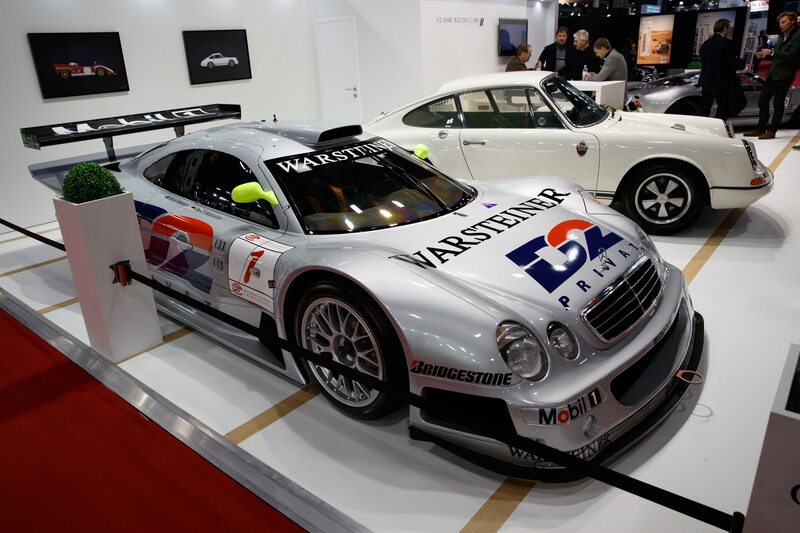 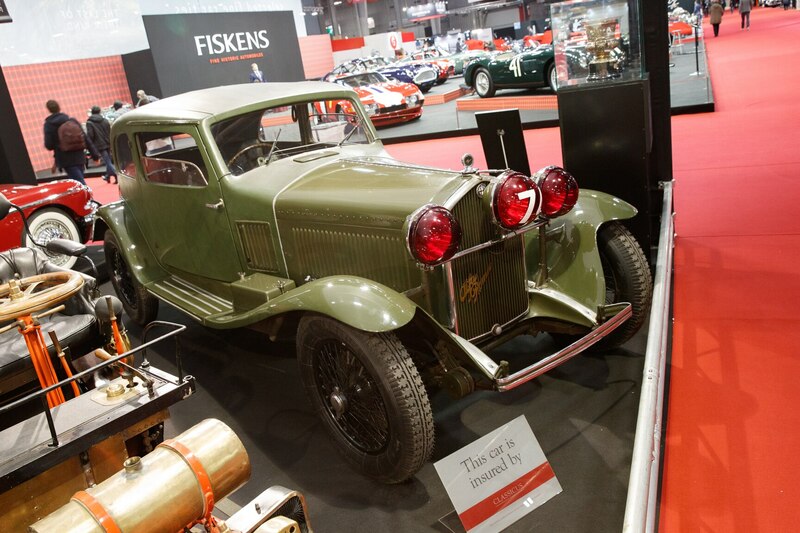 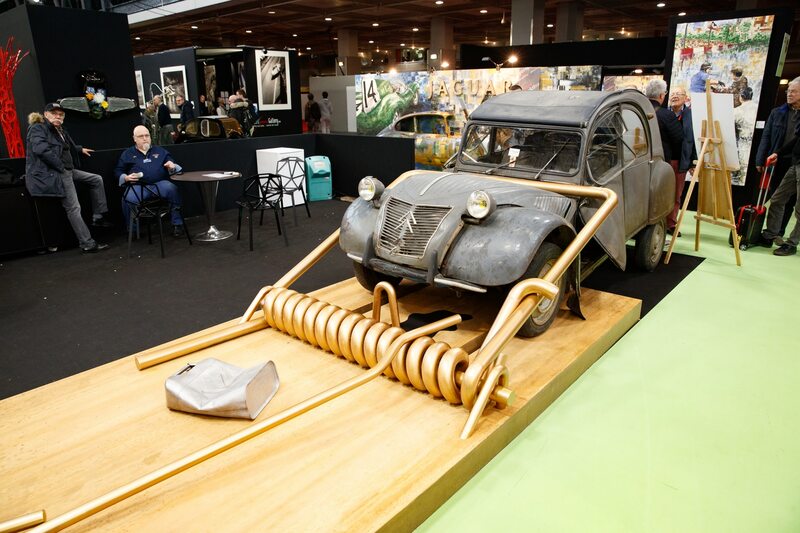 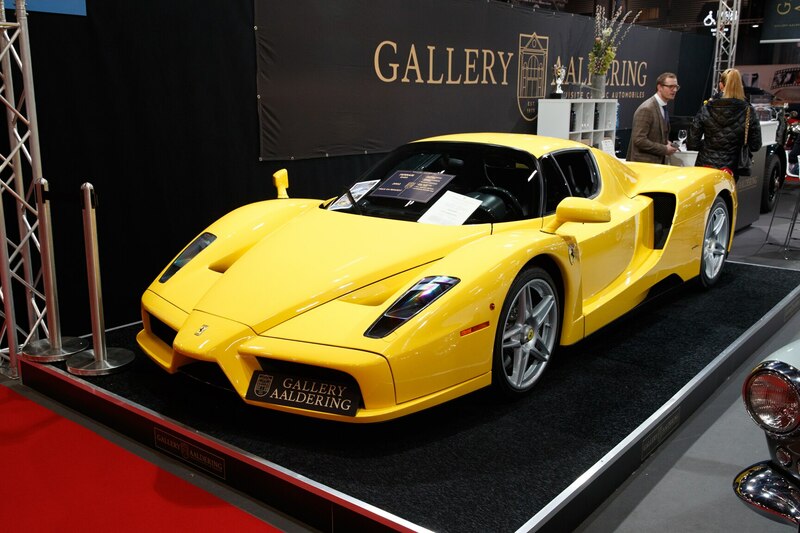 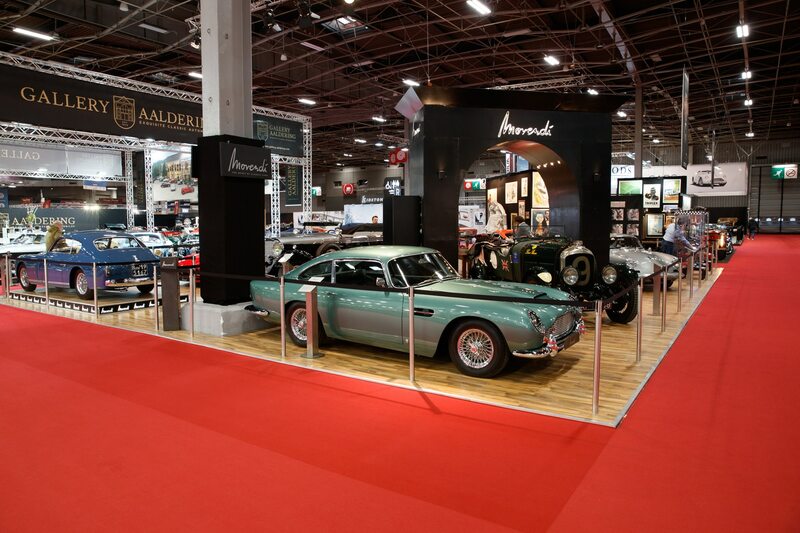 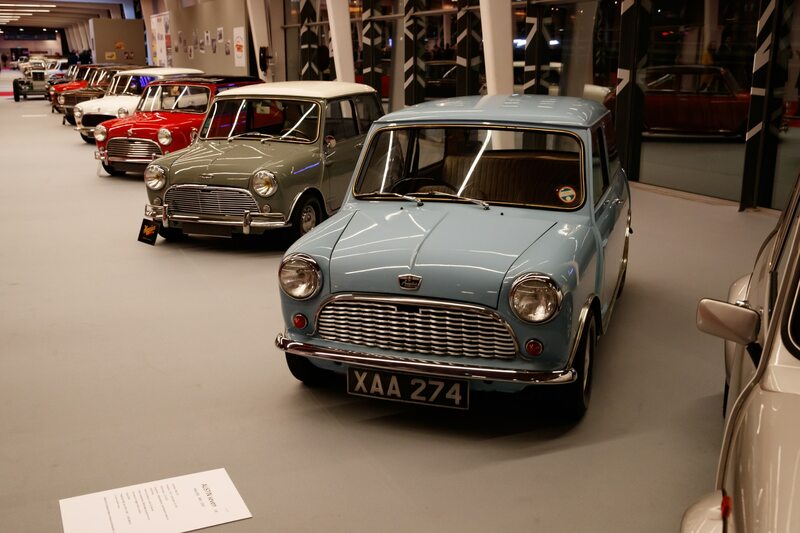 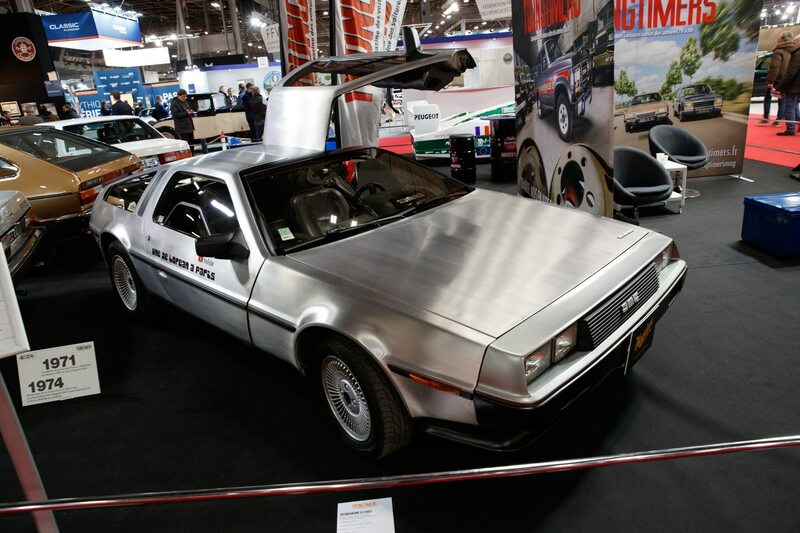 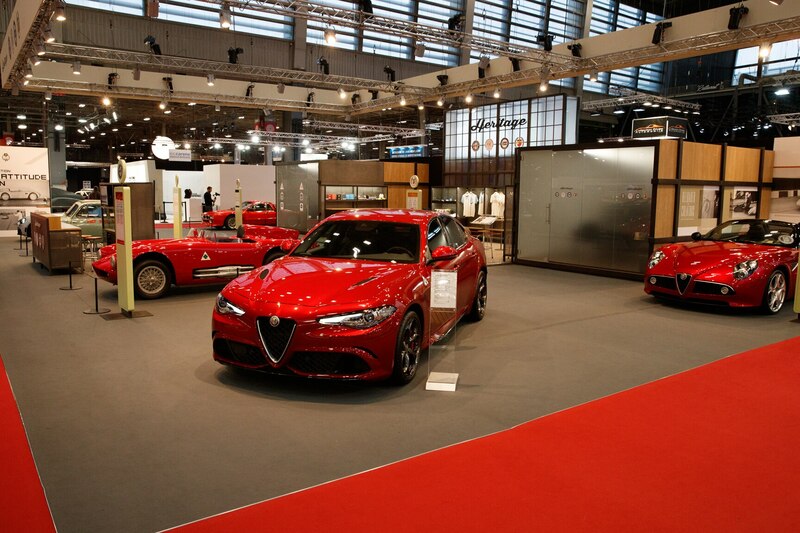 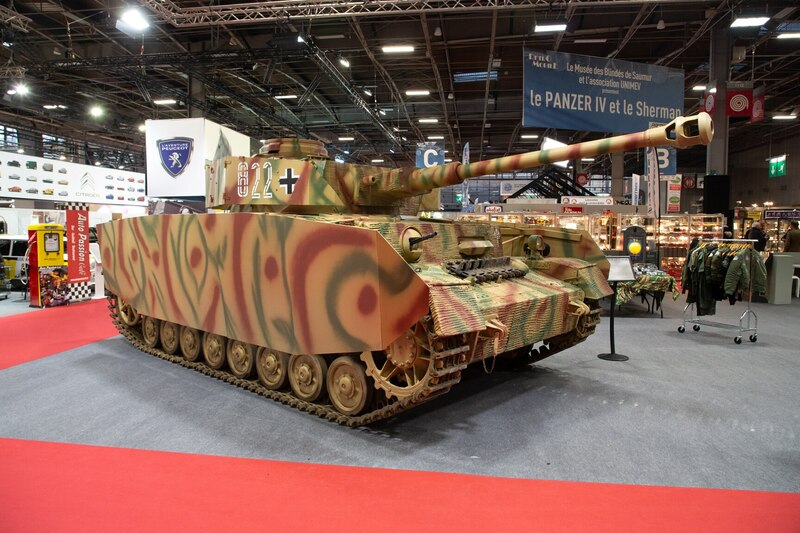 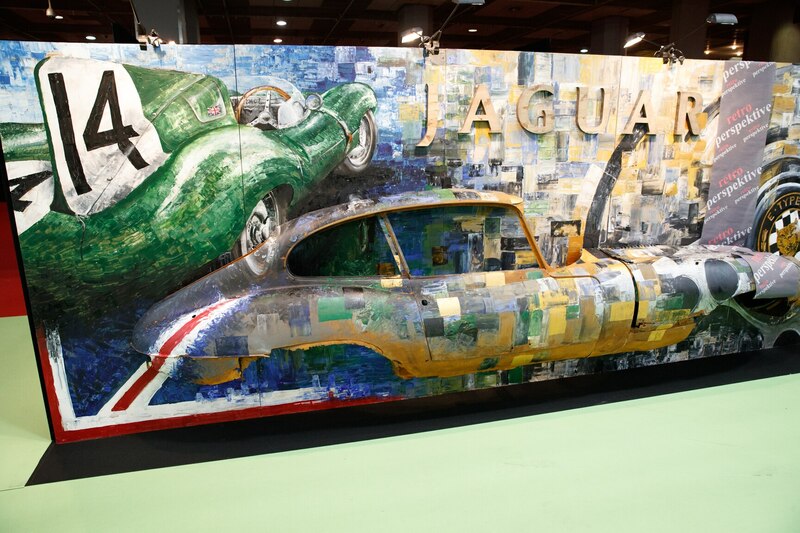 Three halls of the Parc des Expositions de la Porte de Versailles are filled to the brim with classic-car dealers, enthusiast clubs, artists, manufacturers, vendors, and an auction. 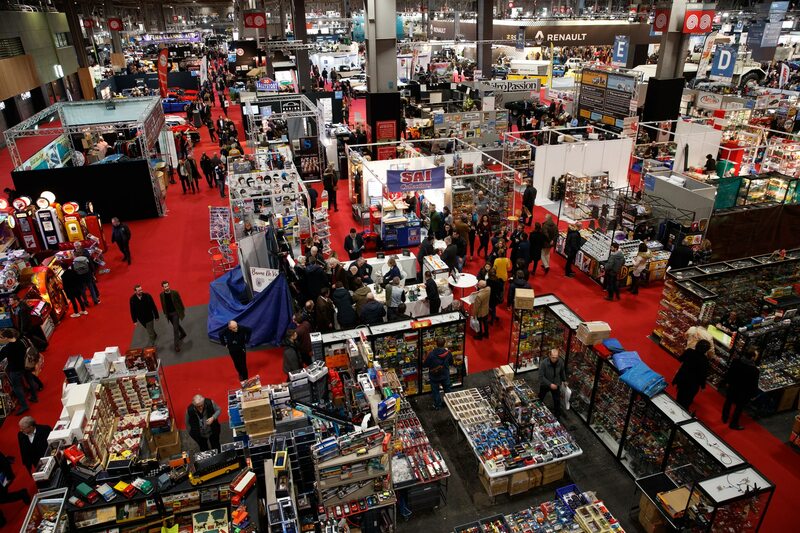 And with a limited amount of space, the exhibitors are naturally forced to bring their A game. 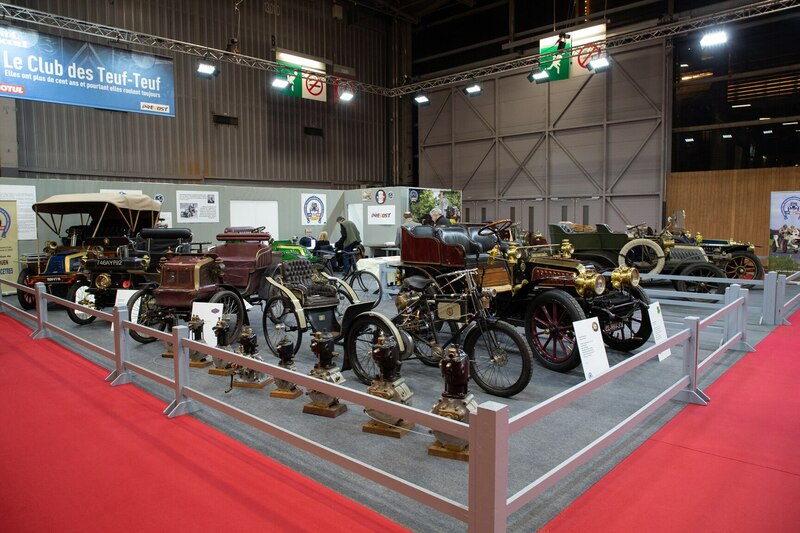 The dealers especially treat Retromobile as if it was a major motor show, offering previews in the days ahead of what they’ll display. 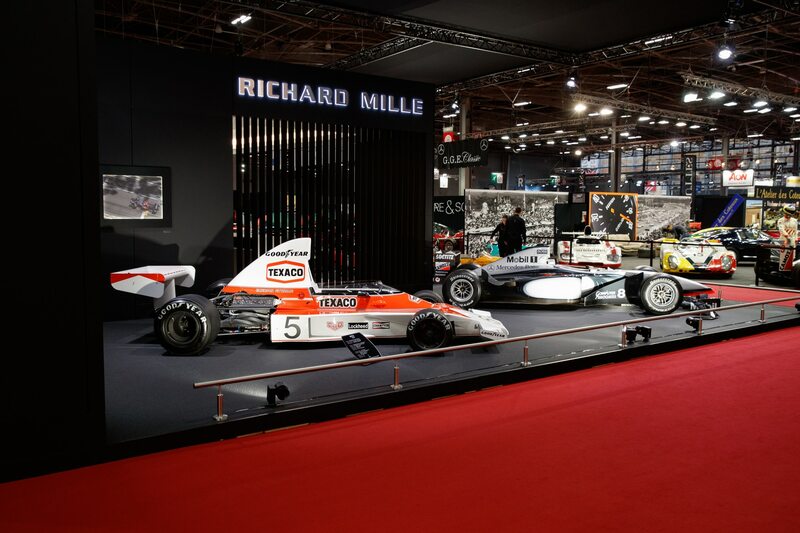 We joined the throng in Paris and have picked a selection of the most interesting machines shown this year. 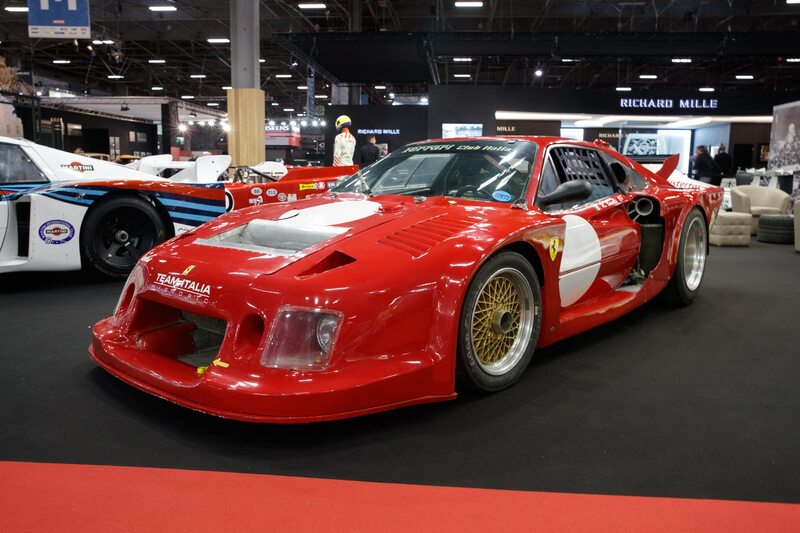 Although dominated by Porsche 935s, the fastest car at the Daytona 24 Hours in 1981 was actually the Ferrari 308 Carma FF, which was shown at Retromobile by Italian dealer Tradex. 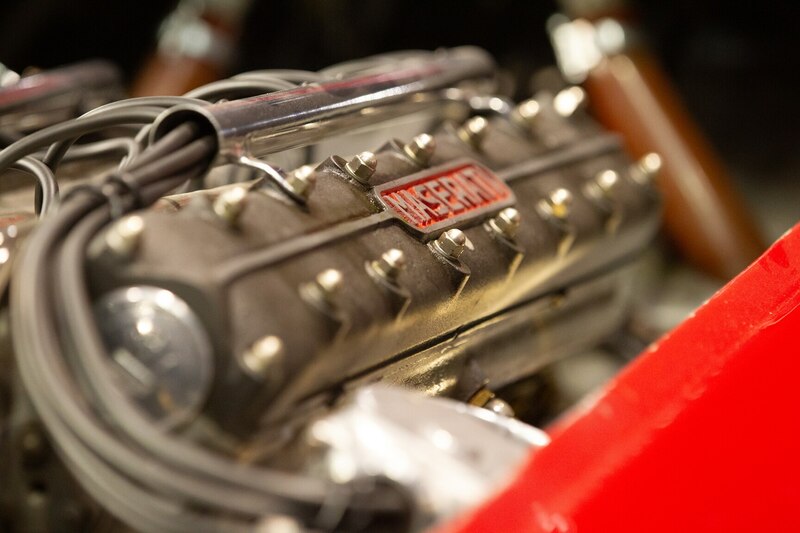 Built to Group 5 regulations by Carlo Facetti, this fantastic machine featured bespoke four-valve heads and two turbos. 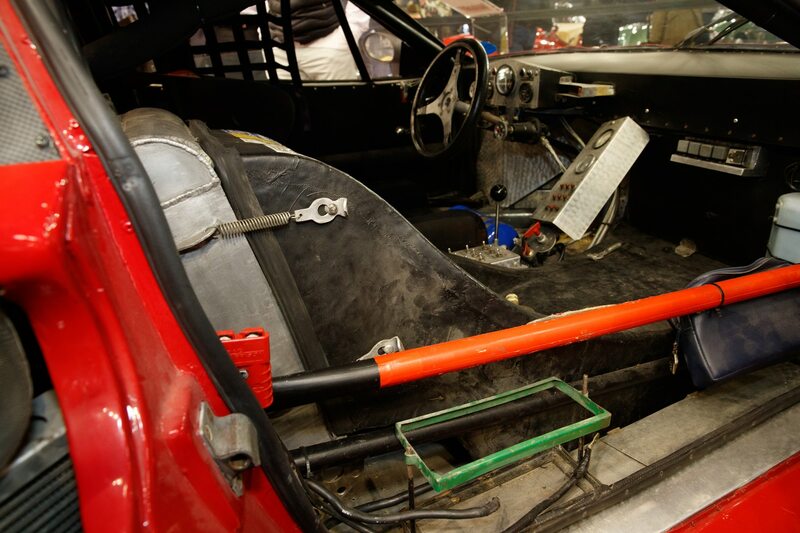 The most ingenious feature was the intercooler mounted in the spot where the passenger would normally be. 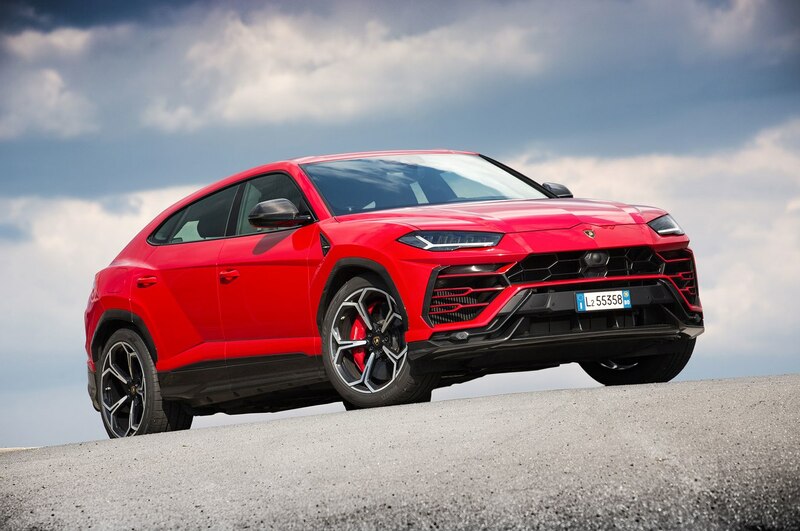 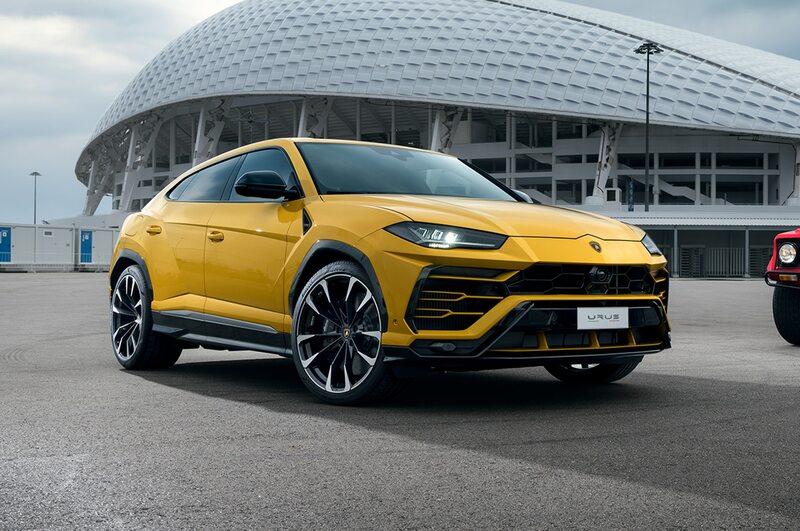 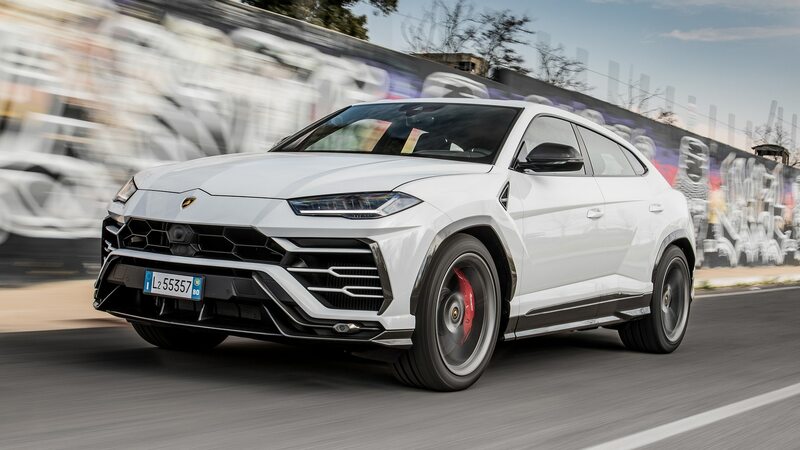 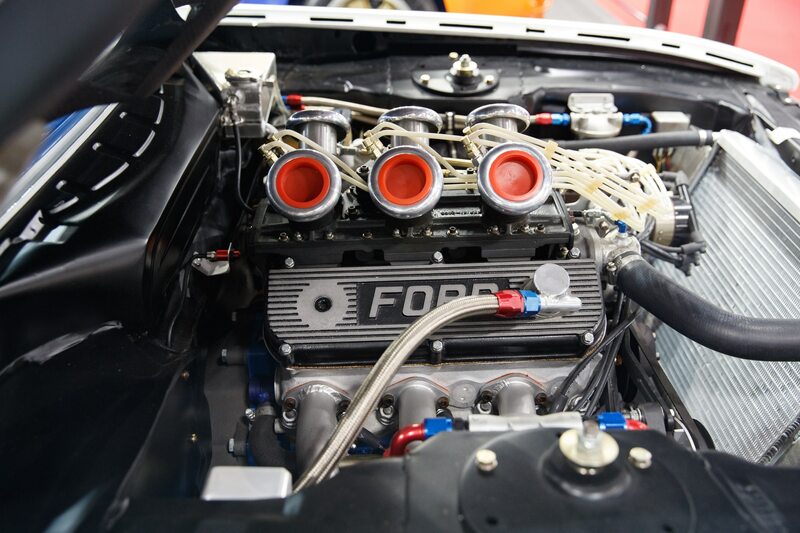 Reportedly, the engine produced a staggering 840 horsepower in race trim. 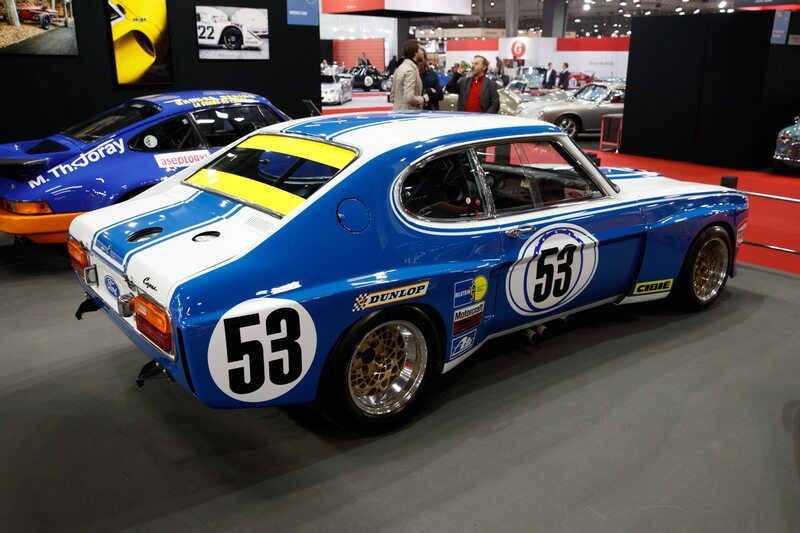 During the early 1970s, the European Touring Car Championship (ETCC) was highlighted by a fierce battle between Ford and BMW running highly developed Capris and 3.0 CSLs. 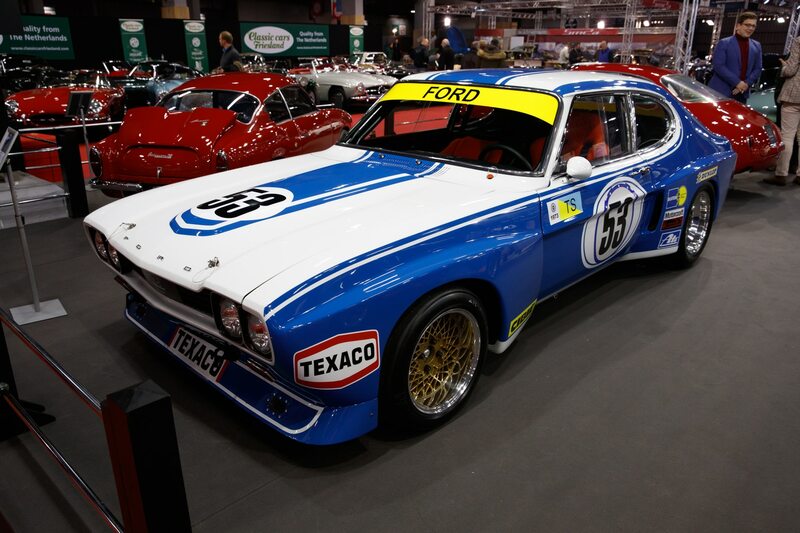 One of the rare ex-factory Capri 2600 RS Fords was wheeled out by local dealer Historic Cars. 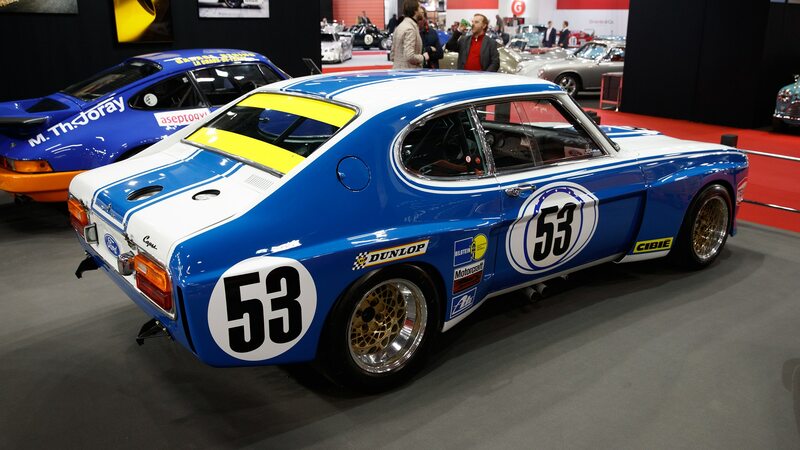 Raced in the ETCC in 1972, it also campaigned at Le Mans twice. 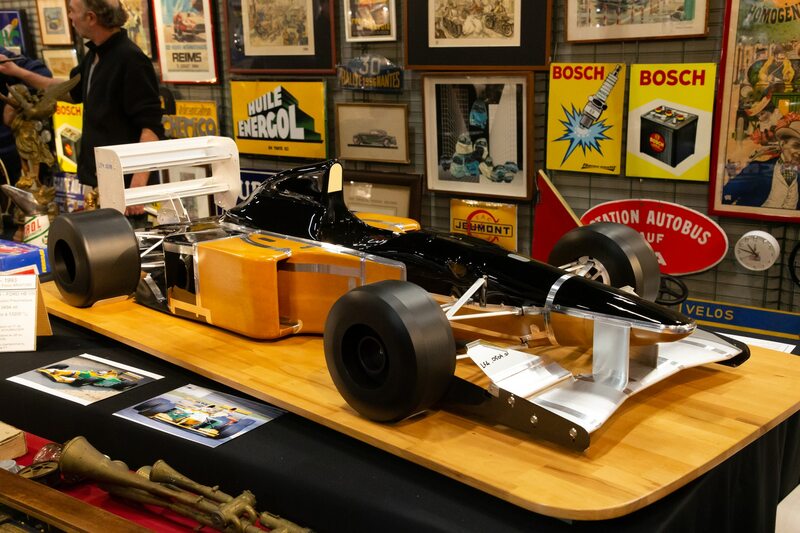 It has been in American ownership from 1974 and was only recently discovered after it had been stored away in a trailer for many decades. 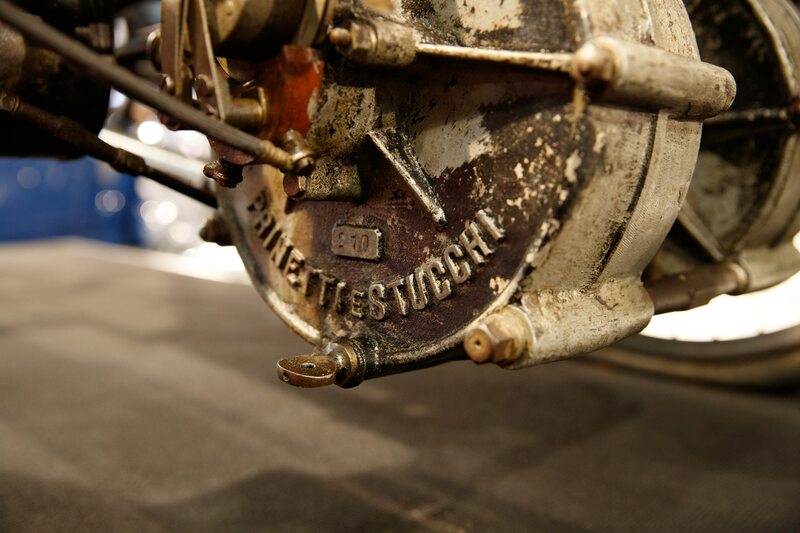 When Ettore Bugatti was just 17 years old, he worked in the Prinetti-Stucchi bicycle shop in Milan. 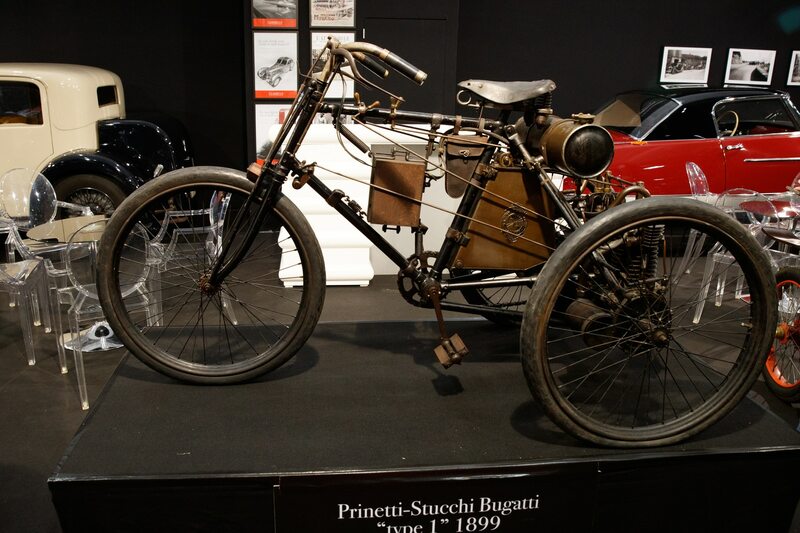 In his free time, he created a motorized three-wheeler, which was effectively the very first Bugatti. 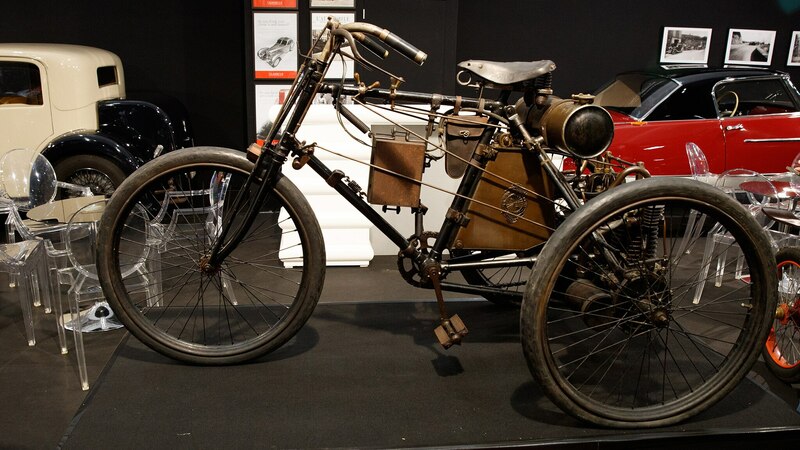 Completed in 1899, it featured two single-cylinder engines that propelled it to around 56 mph. 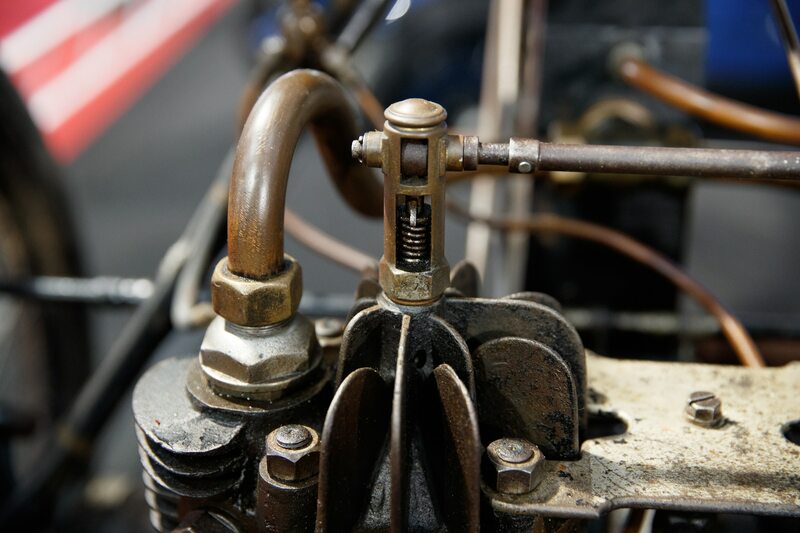 Yet it boasted no throttle or clutch and the only way to slow it down for a corner was to cut the ignition and open the compression release. 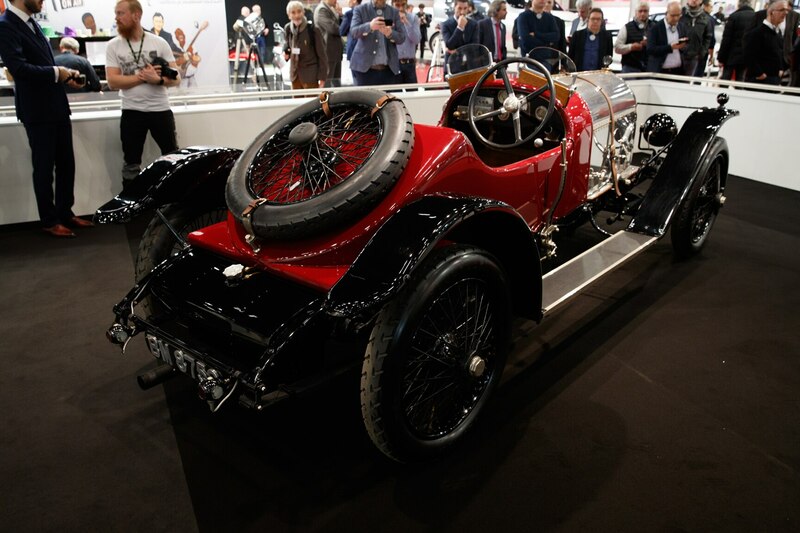 It did work very well and Bugatti won four races and set a world record running 53 miles in 75 minutes. 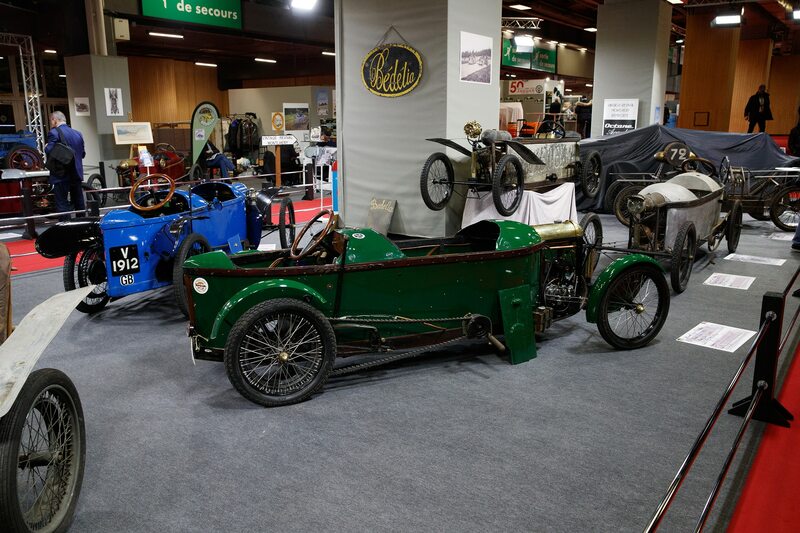 Amazingly, the unique three-wheeler has survived and was shown in full running order by Fine Automobiles. 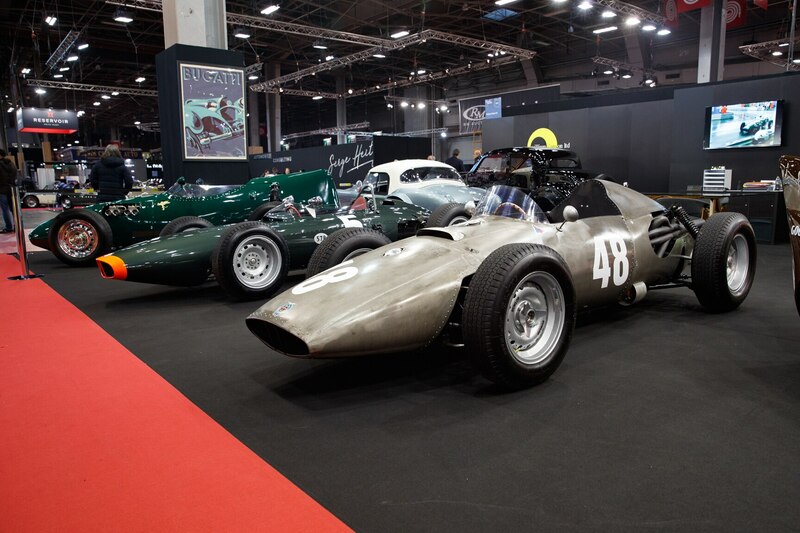 Lamborghini’s newly established restoration department Polo Storico were at Retromobile to reveal its latest project. 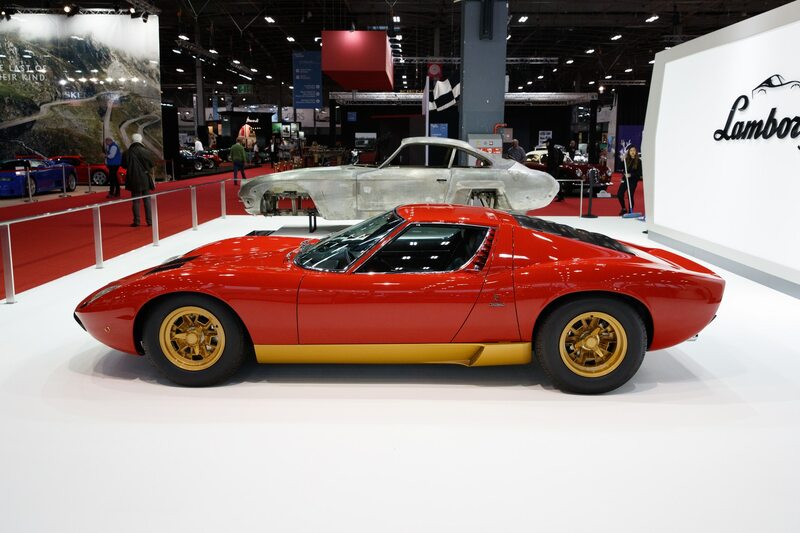 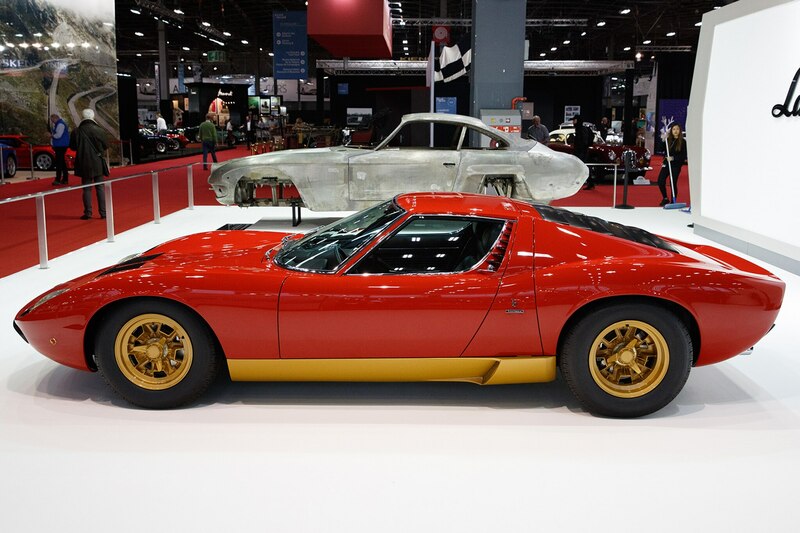 This was a Miura SV that was restored for none other than FIA President and former Ferrari chief Jean Todt, who was handed the keys during the show. 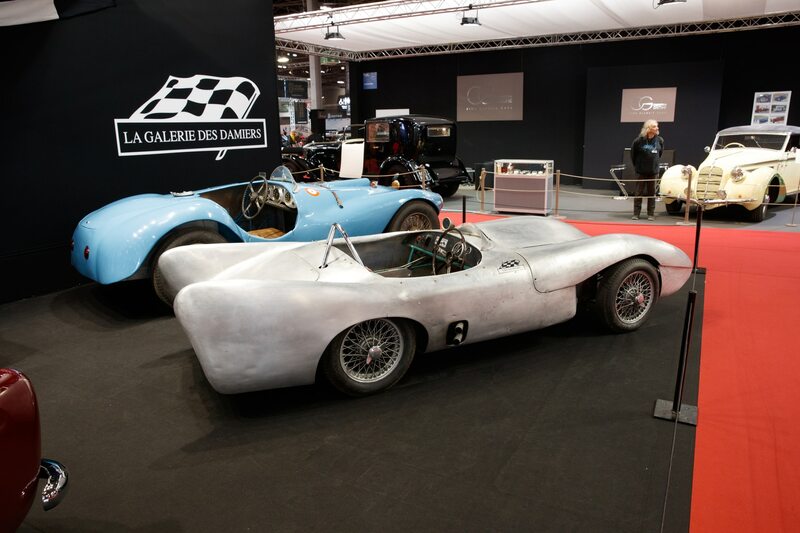 Elsewhere, Geneva-based dealer Kidston showed off further Miuras with the cars on display including the bare prototype chassis and two of the very rare and ultimate SVJ versions. 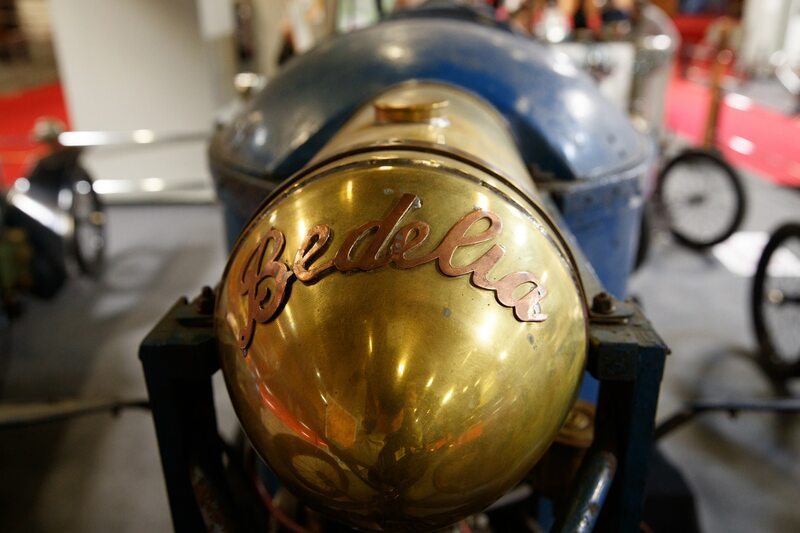 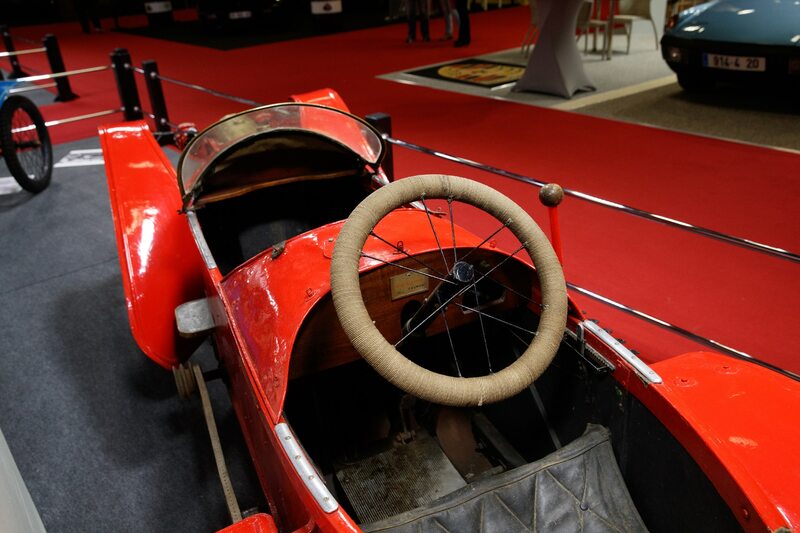 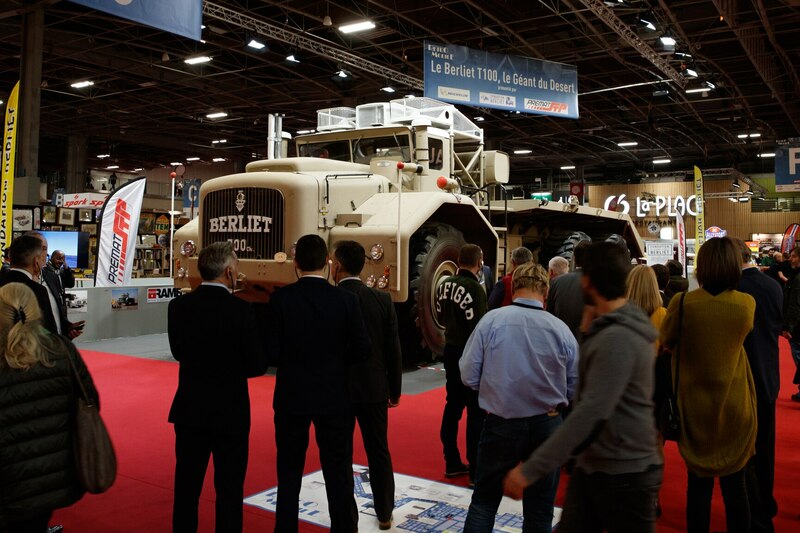 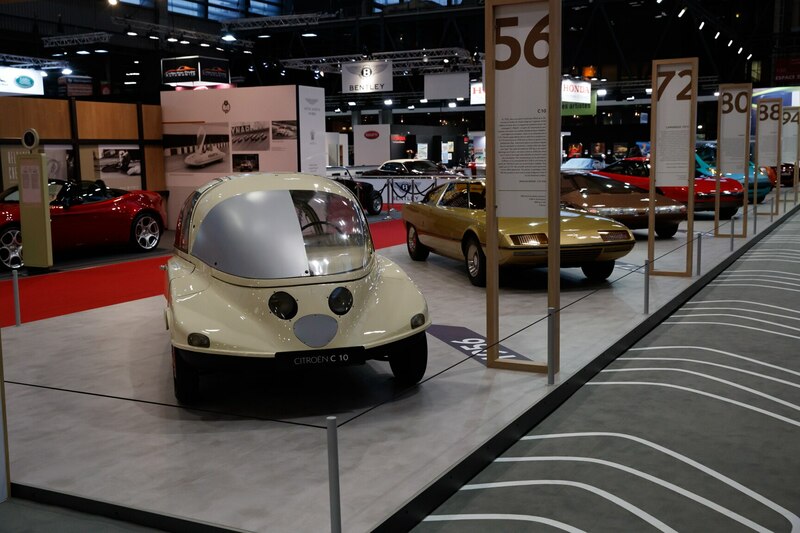 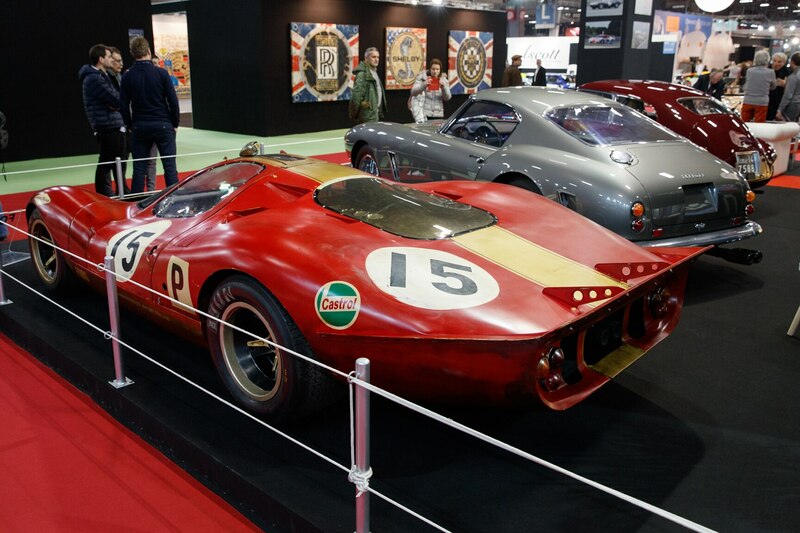 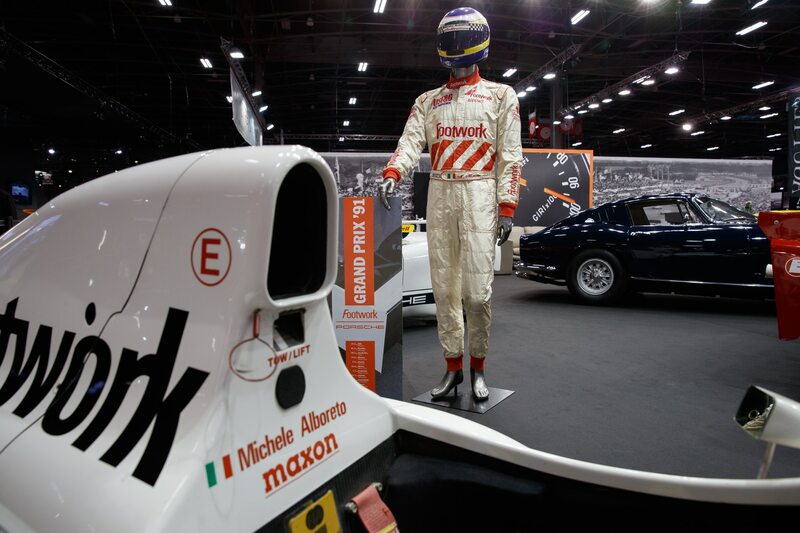 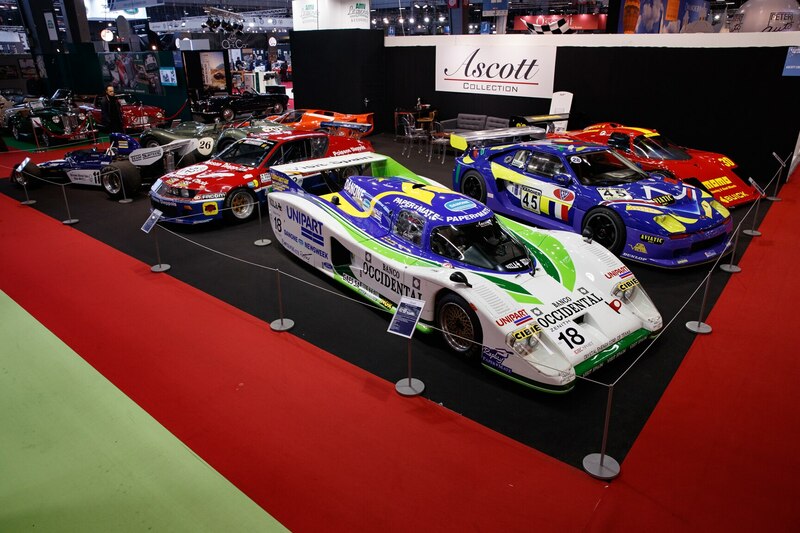 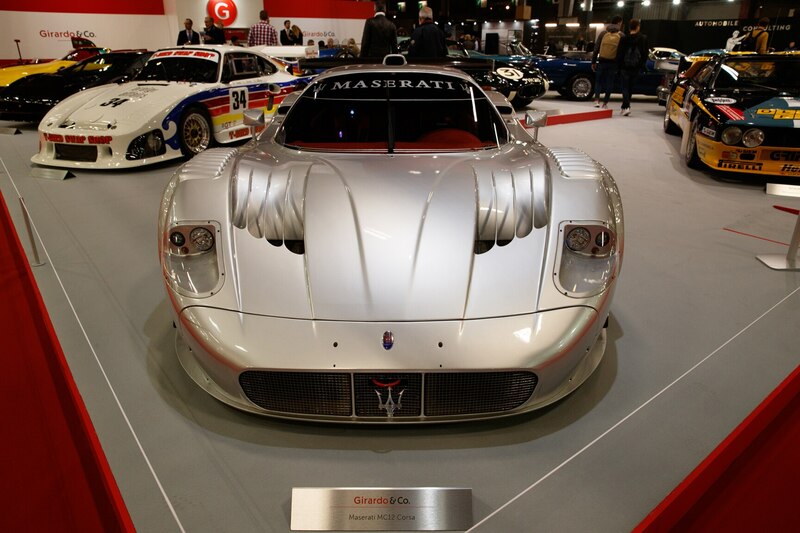 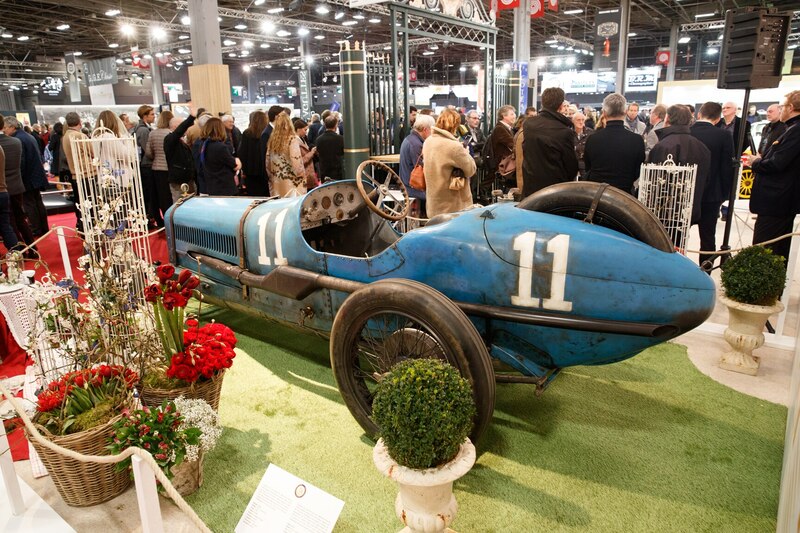 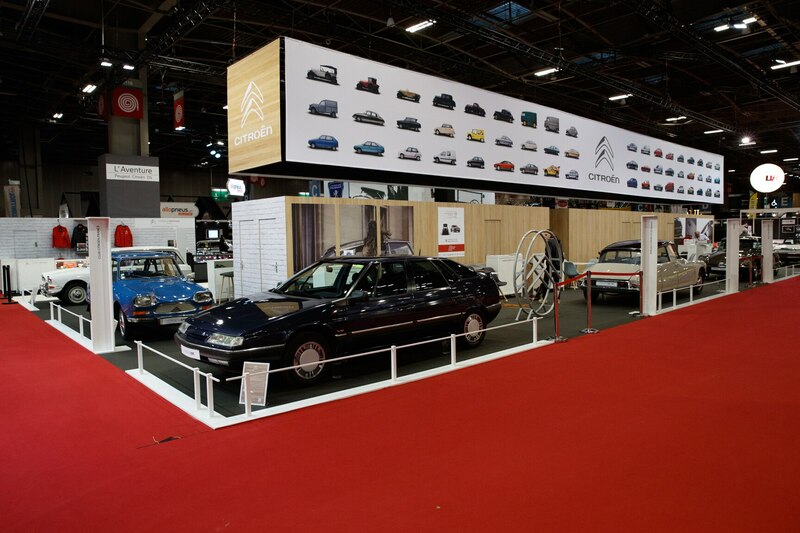 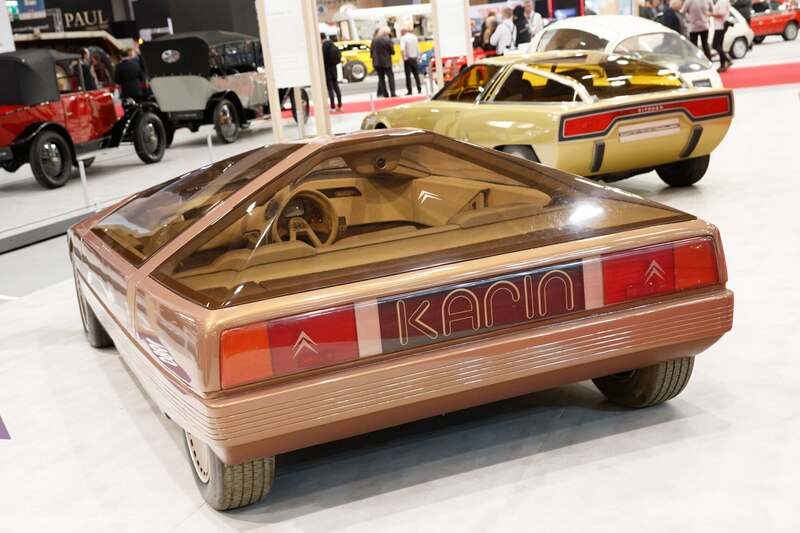 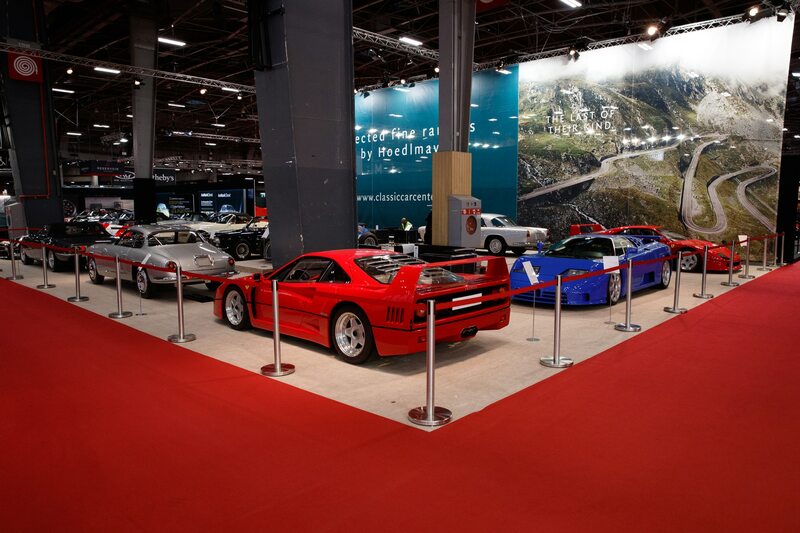 What makes Retromobile special is that it always provides unique displays and that certainly was the case with the Bédélia showcase. 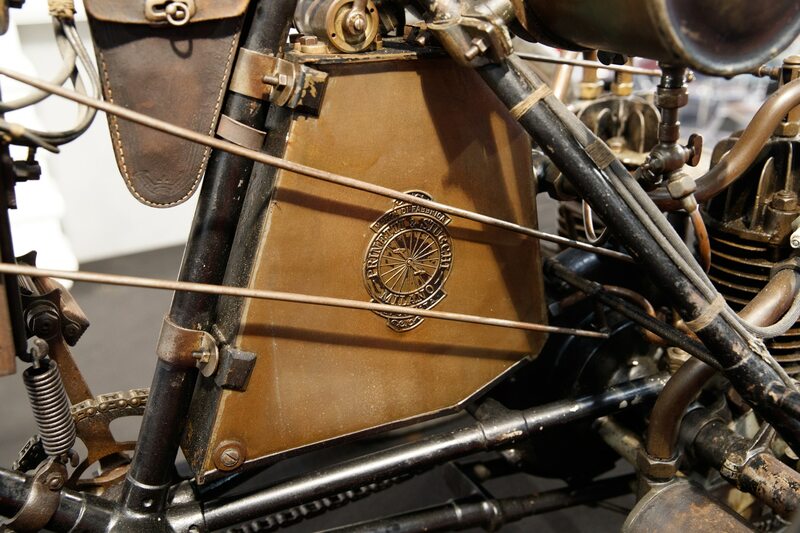 This was a tribute to the distinct cycle-fender machines built in Paris from 1910 to 1925. 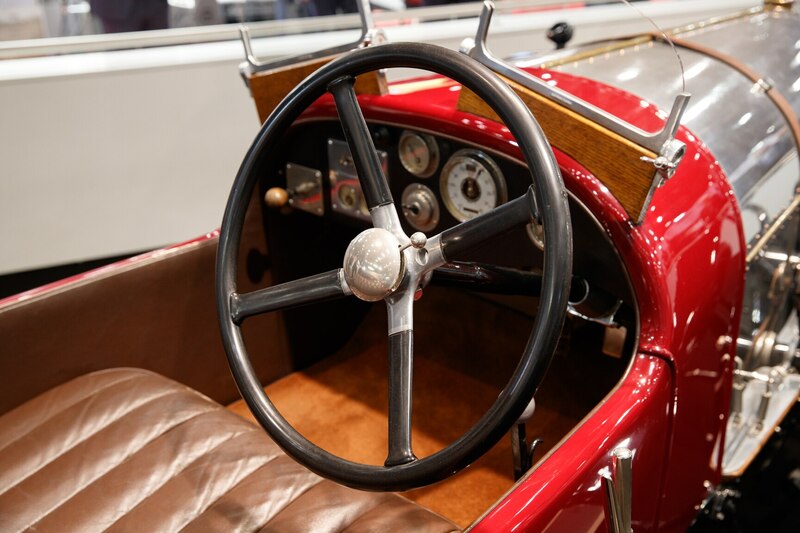 These featured an unusual tandem seating position with the driver placed behind the passenger. 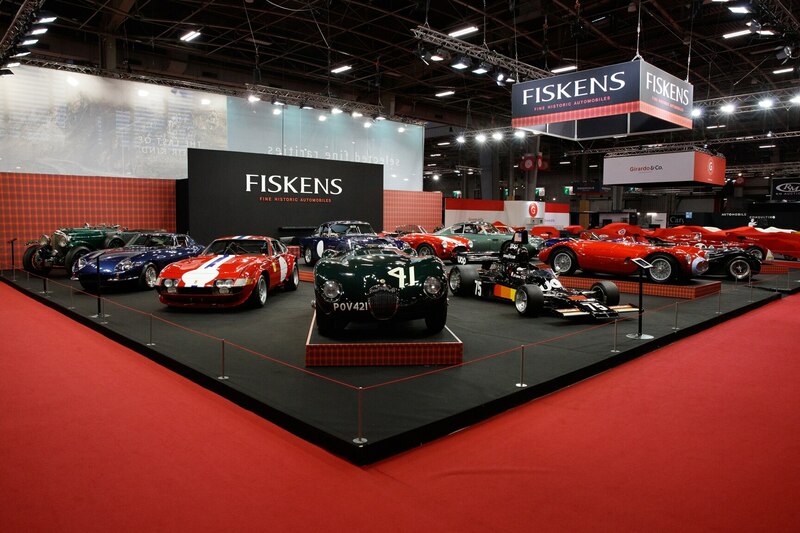 Of the 19 known to have survived, a startling 14 were brought together for this undoubtedly once-in-a-lifetime display. 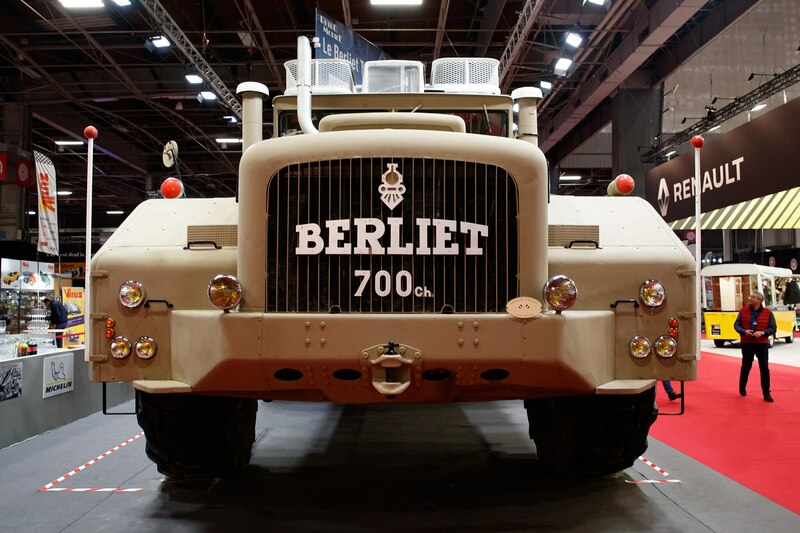 Impossible to miss at this year’s Retromobile show was the Berliet T100 from 1957. 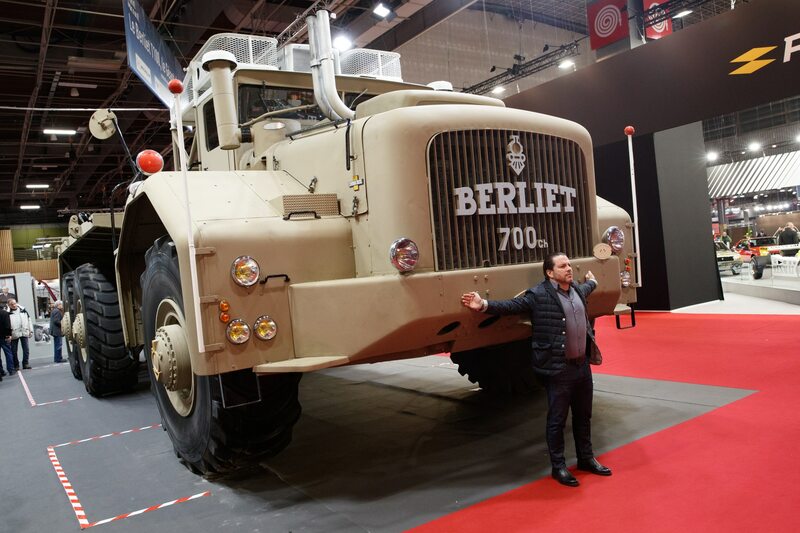 At more than 16 feet in both width and height and nearly 50 feet long, this 50-ton machine is the largest truck ever built. 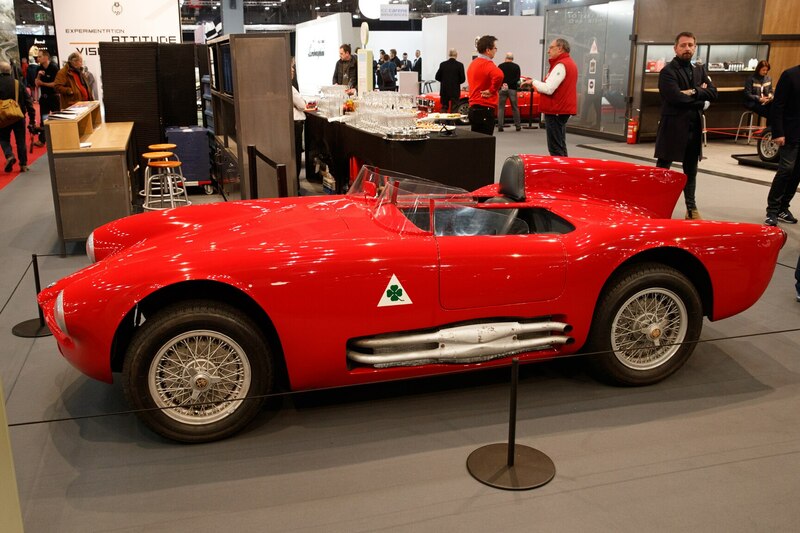 Four were made and this is one of just two known to have survived. 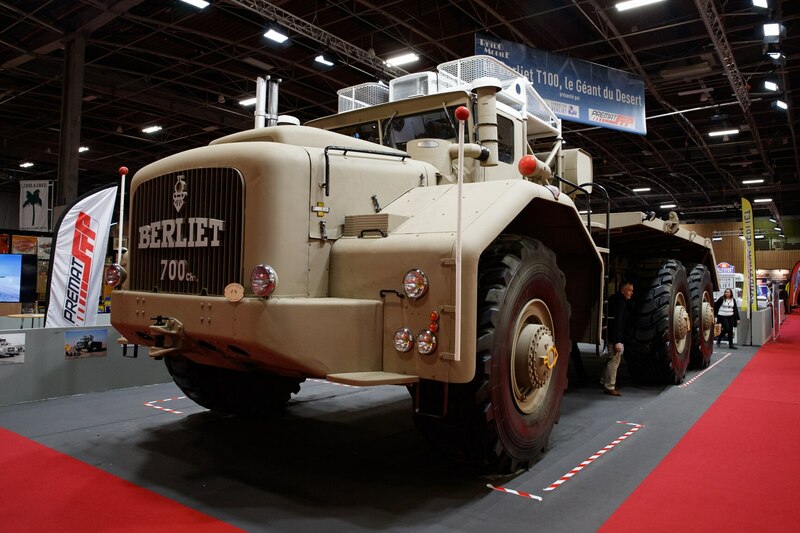 Powered by a 700-hp Cummins V-12 diesel engine, this truck was used on oil and gas fields in Algeria. 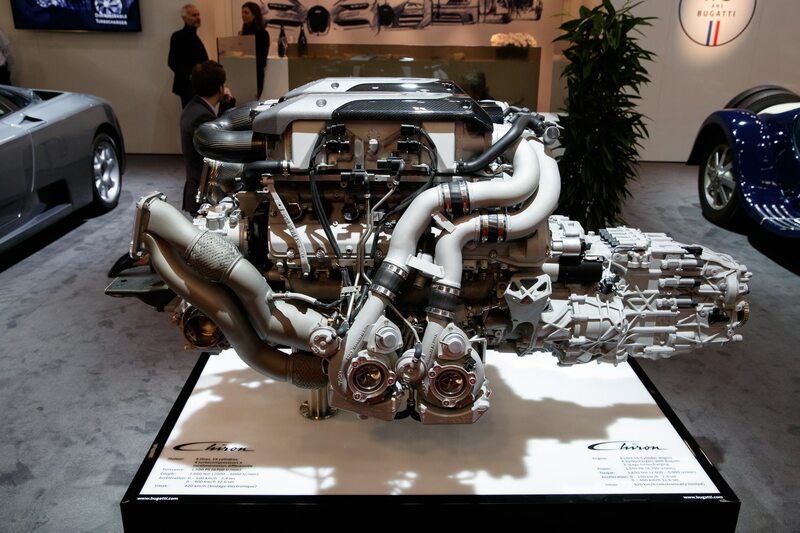 The truck is so big that it requires a separate car engine to run the power-steering pump. Since 1981, the example shown in Paris has been part of the Berliet Foundation museum. 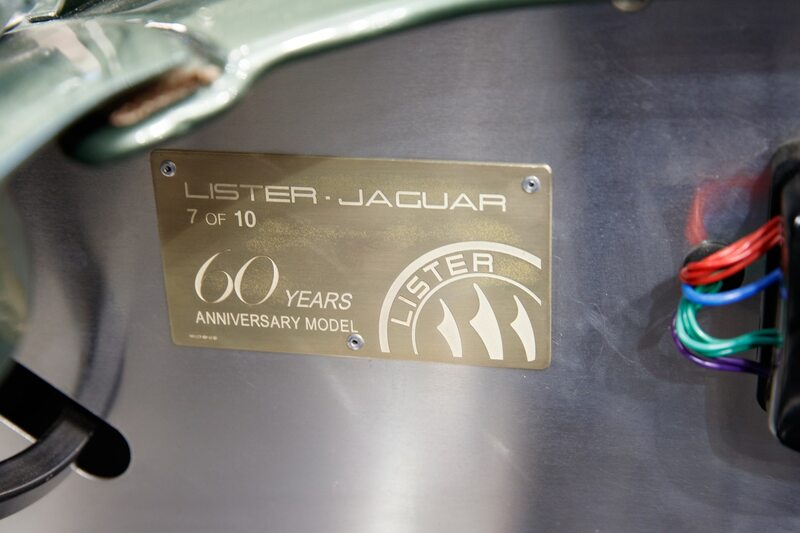 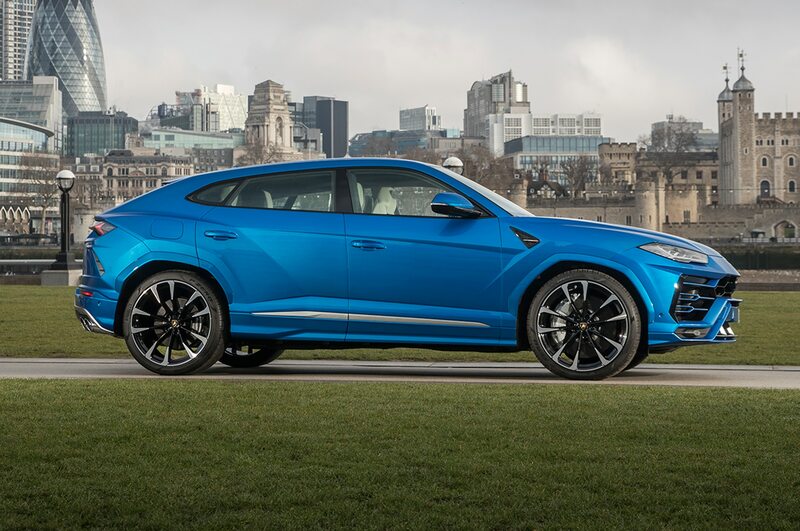 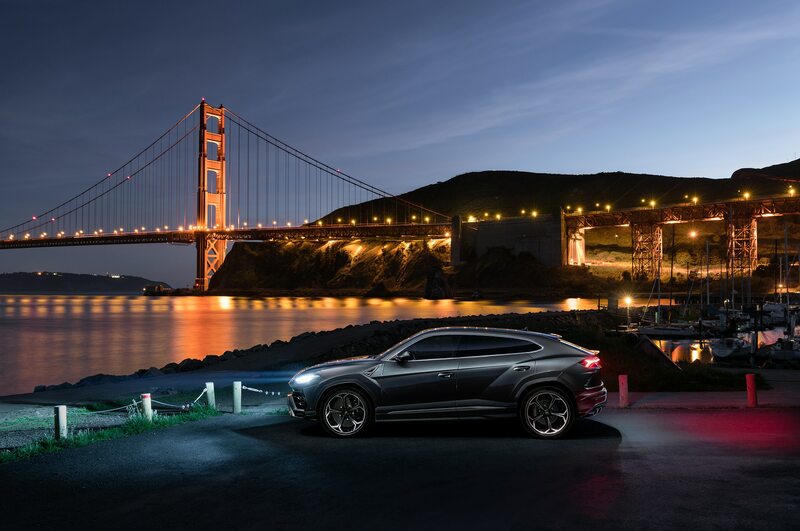 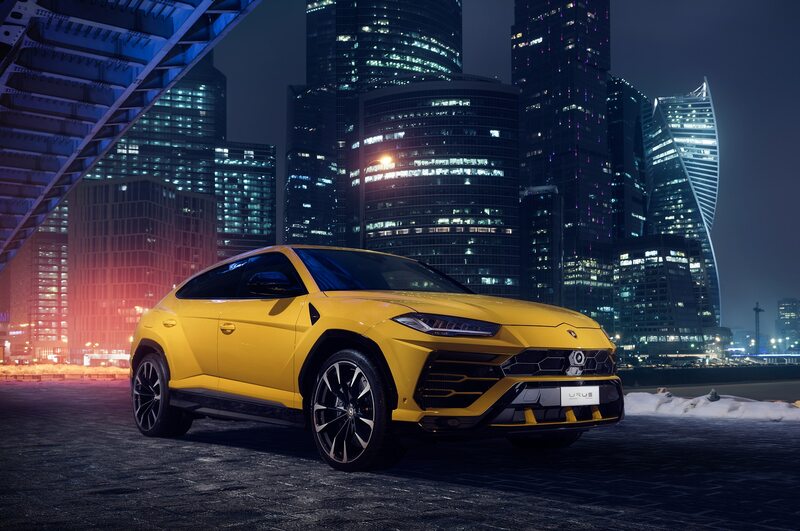 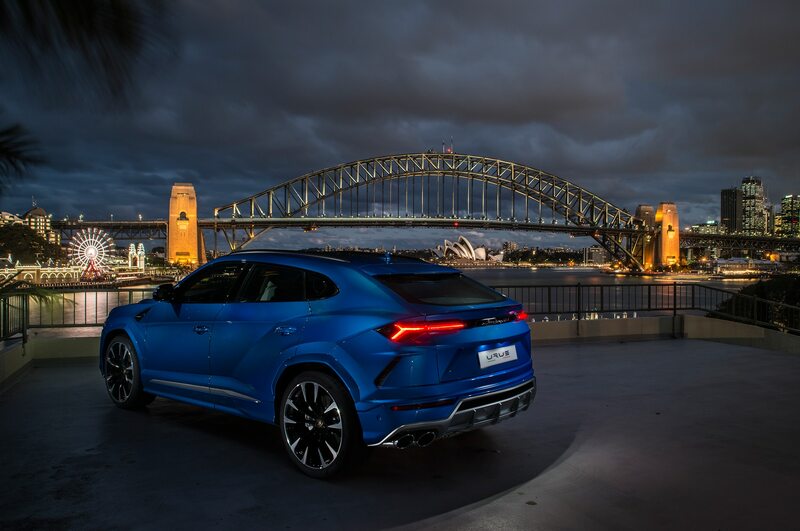 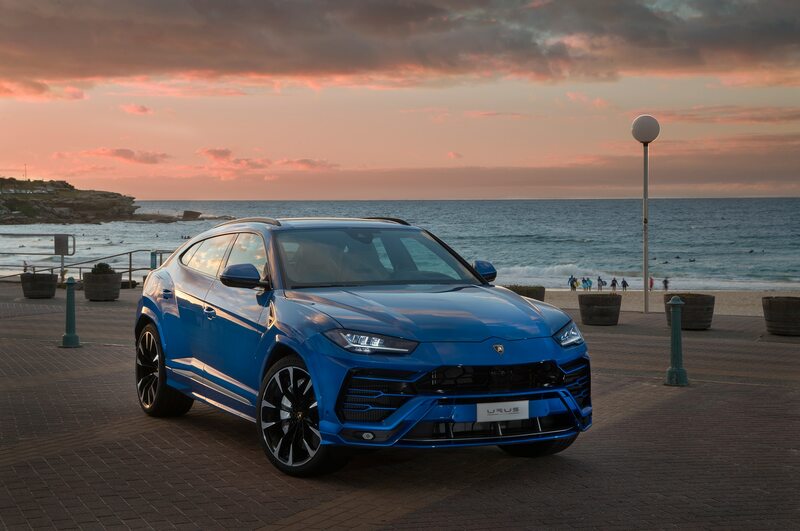 A few years ago, a revitalized Lister company kick-started the trend of building new cars following an old design, later also followed by Aston Martin and Jaguar. 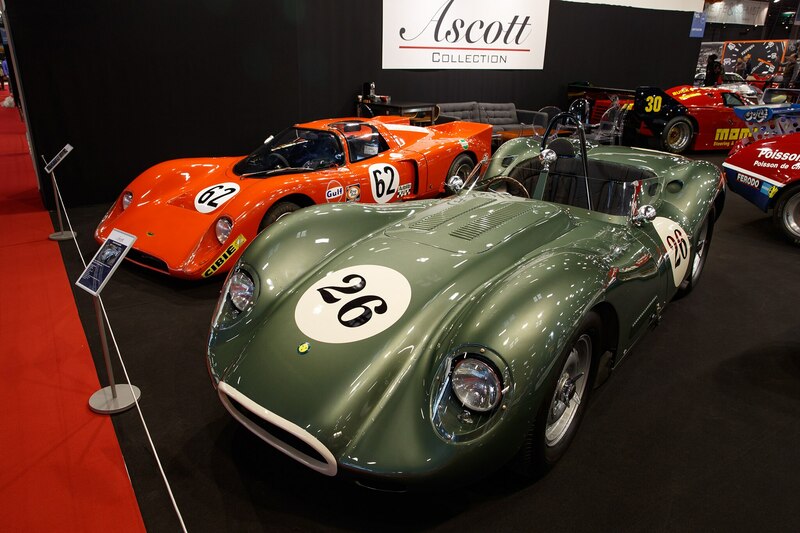 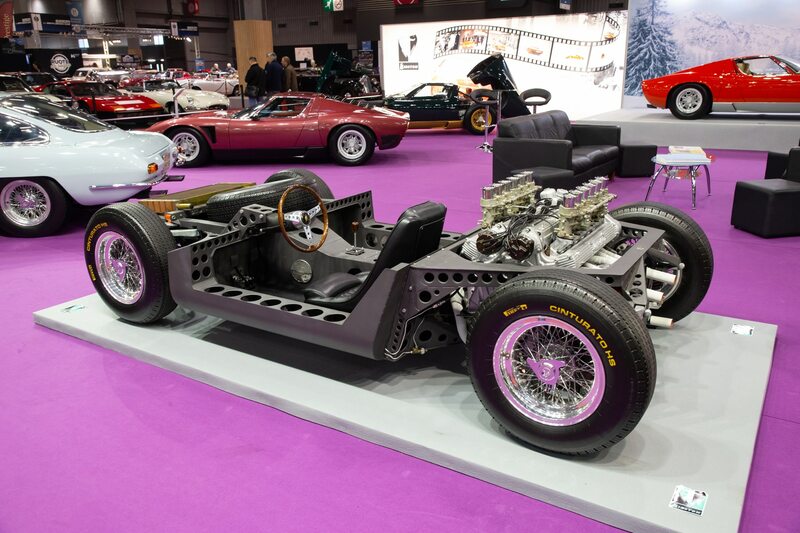 On display at the Ascott Collection stand was one of the brand-new continuation Lister Knobbly Jaguars. 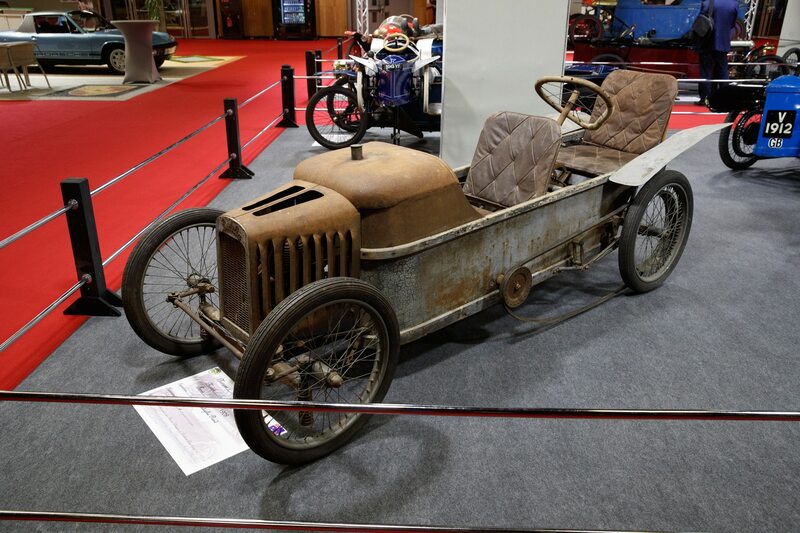 It had been ordered three years ago and was only completed very recently. 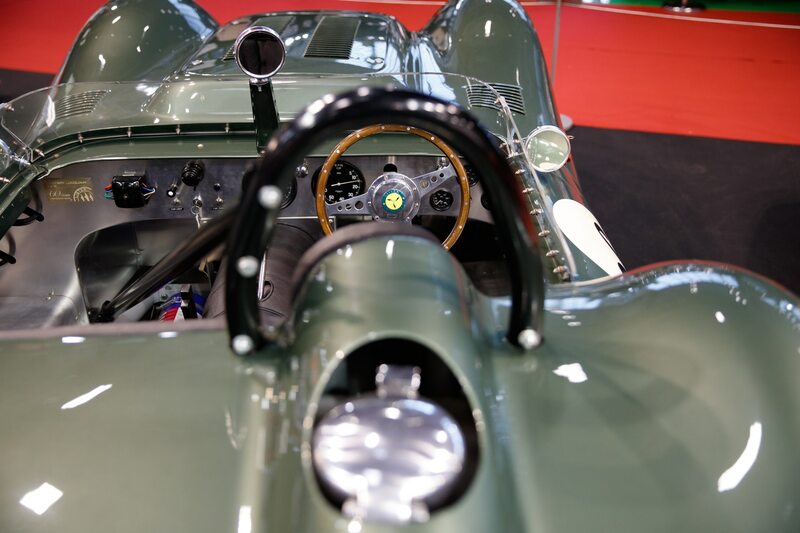 Despite being brand new, it has been built to the exact specifications of the 1958 original and is eligible for historic racing. 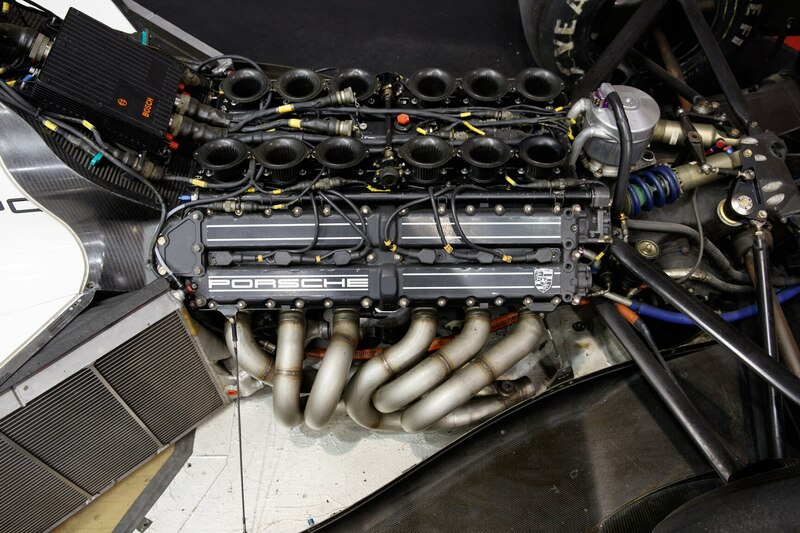 Porsche’s motor-racing exploits are legendary but there have been times that the German company got it very wrong. 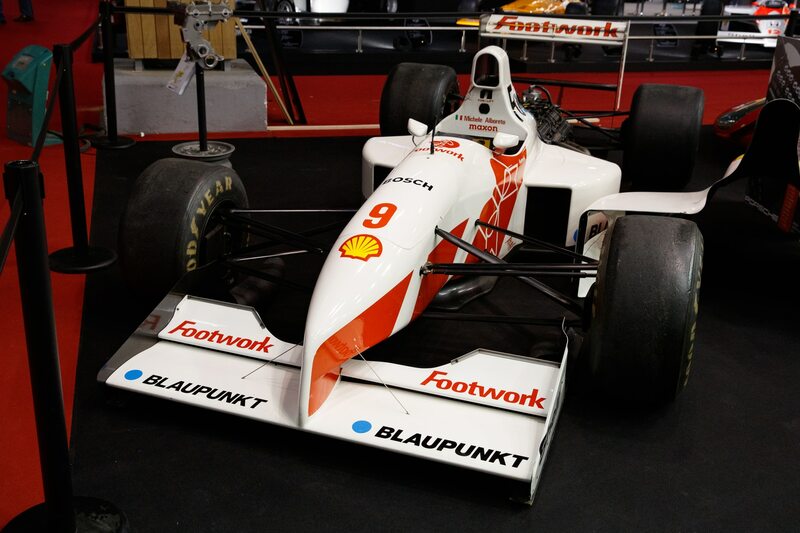 Testament of this was the Footwork FA12 Formula 1 car on display. 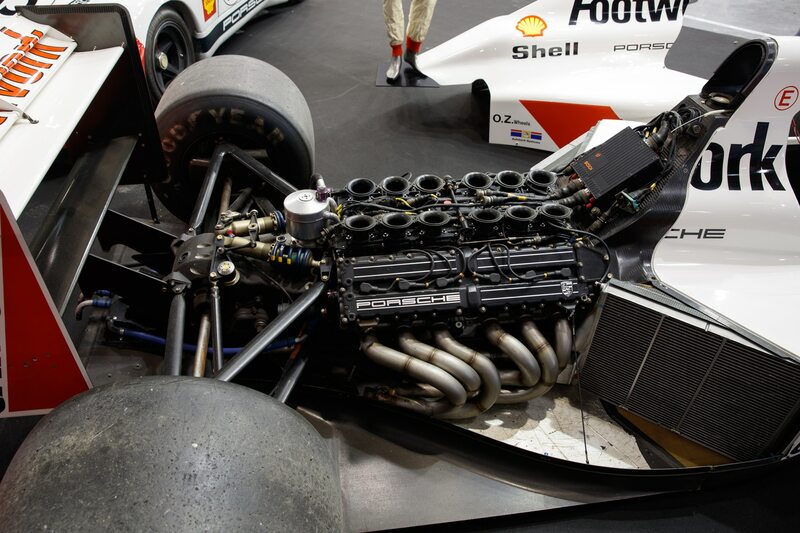 Raced briefly during the 1991 season, it featured a Porsche V-12 engine that was too big, too heavy, and also underpowered. 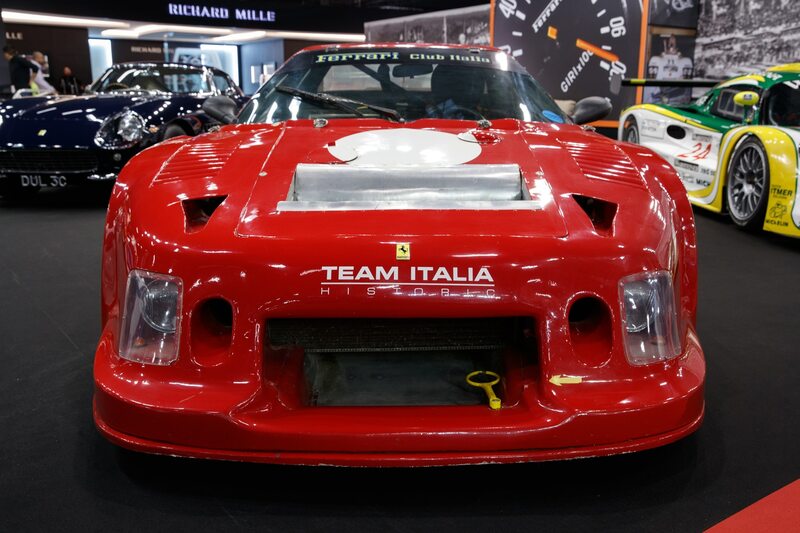 It was set aside after just a few races and this car is the only one today that is in private hands and still fitted with the ill-fated Porsche unit. 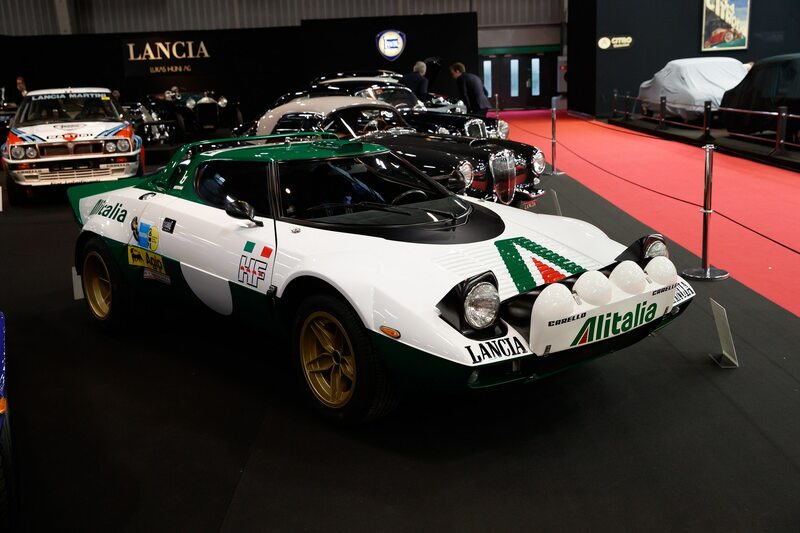 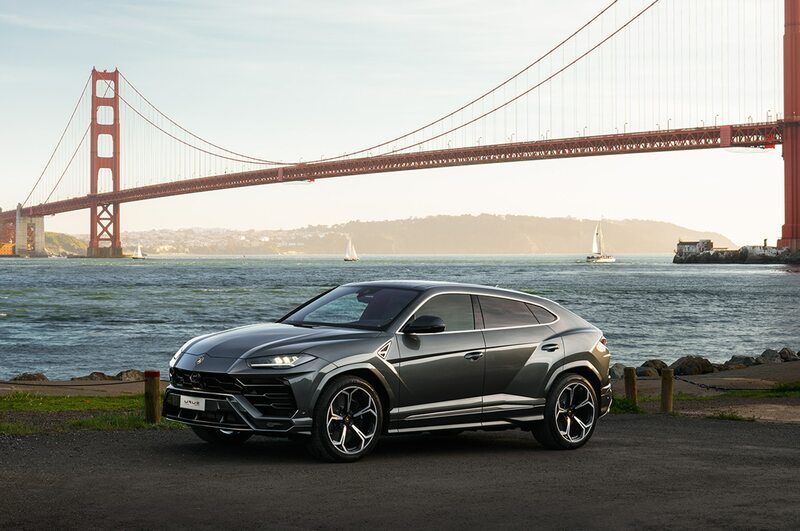 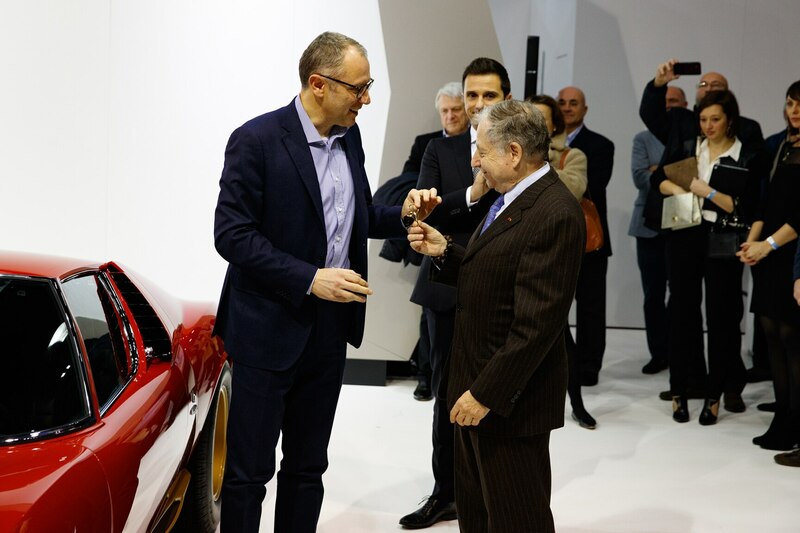 Legendary Italian make Lancia turns 100 years old this year and this inspired Swiss dealer Lukas Hüni to pull out all the stops and fill his vast stand solely with the firm’s cars. 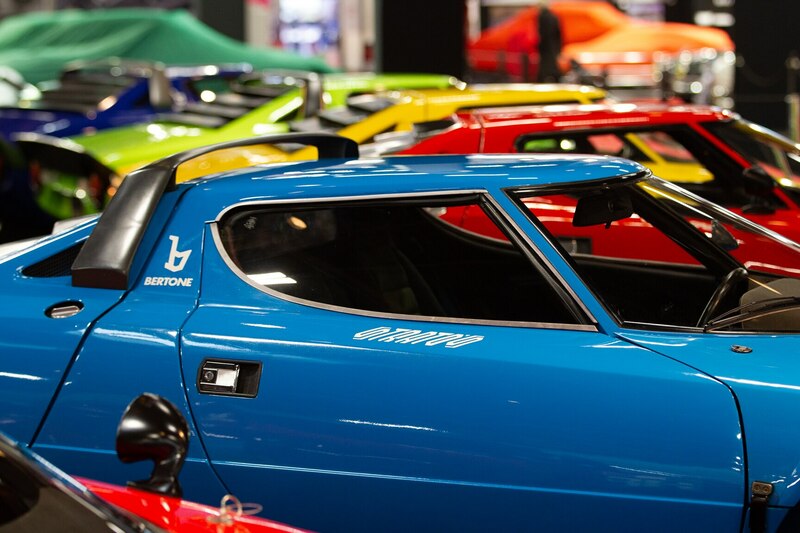 While a large number of models were represented, we were most taken aback by the colorful lineup of Stratos models. 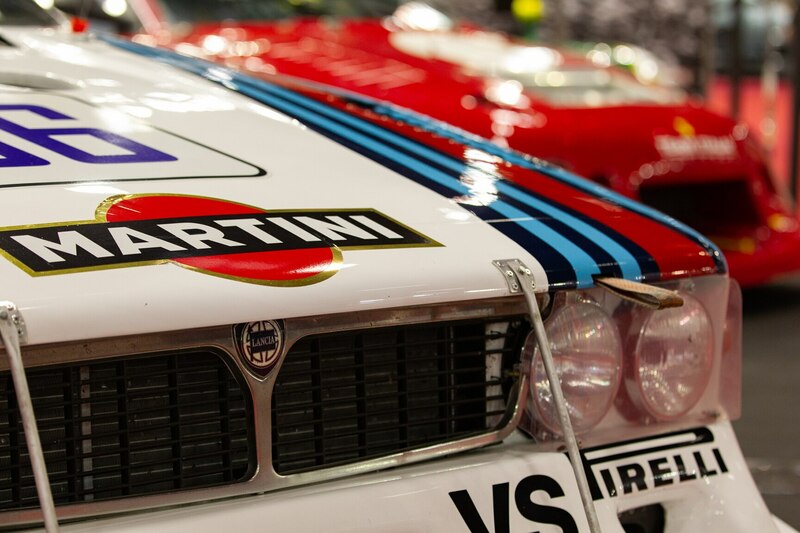 No fewer than seven examples were on display, including one of the Group 4 cars that dominated the World Rally Championship during the mid-1970s. 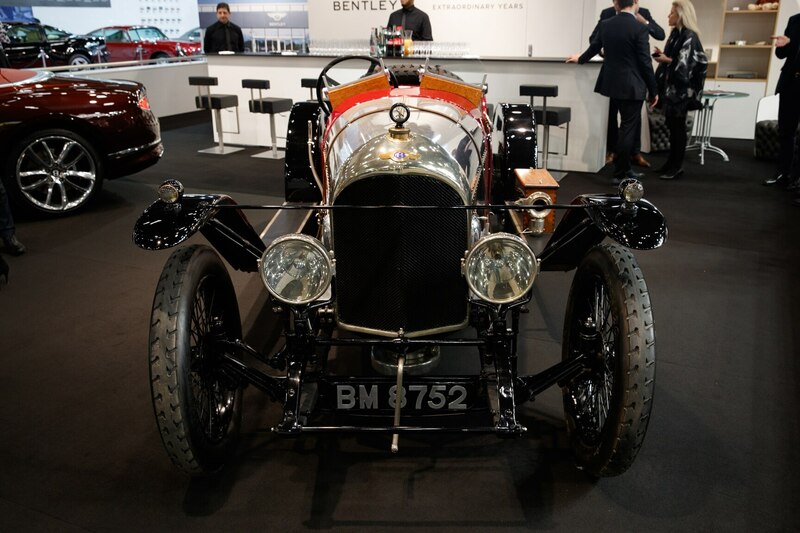 Another company celebrating their centenary this year is Bentley. 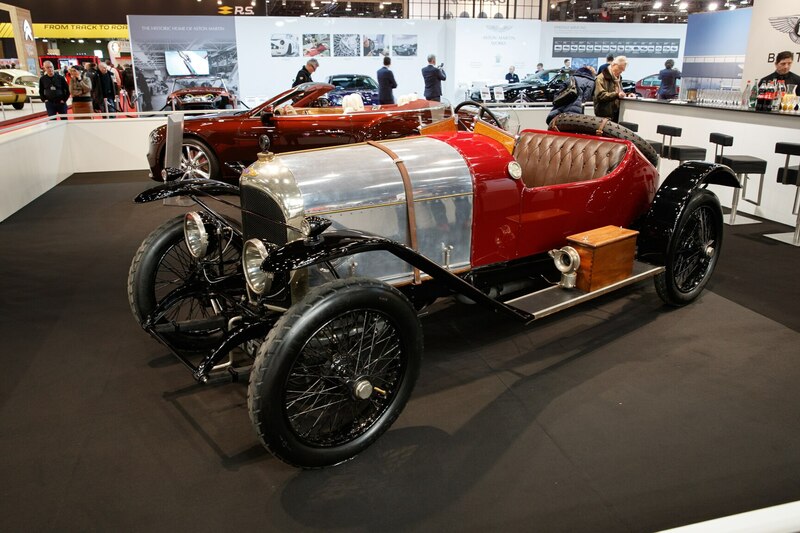 To mark the occasion, the British manufacturer’s official stand boasted not only the latest Continental GT Cabriolet but also the oldest surviving car. 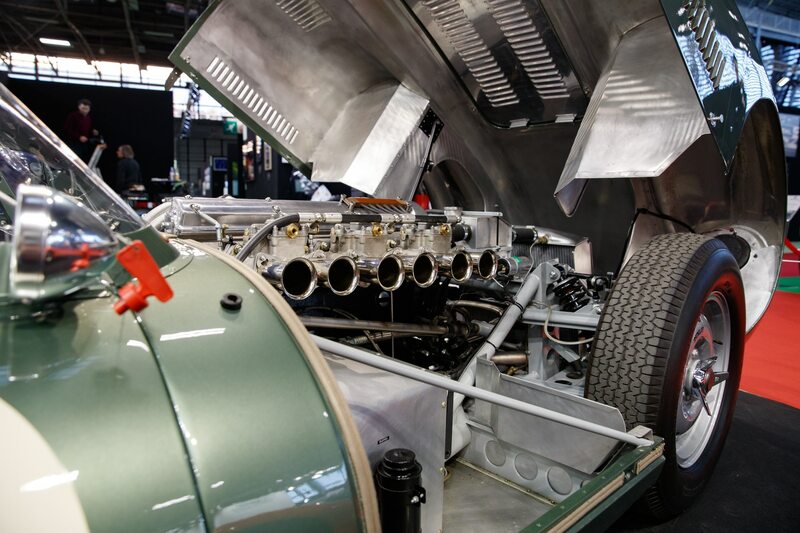 Known as EXP2, it was actually the second experimental prototype constructed in 1919 and already featured the hugely sophisticated four-valve, overhead-camshaft engine that would be for the basis for the hugely successful Bentleys built throughout the 1920s.